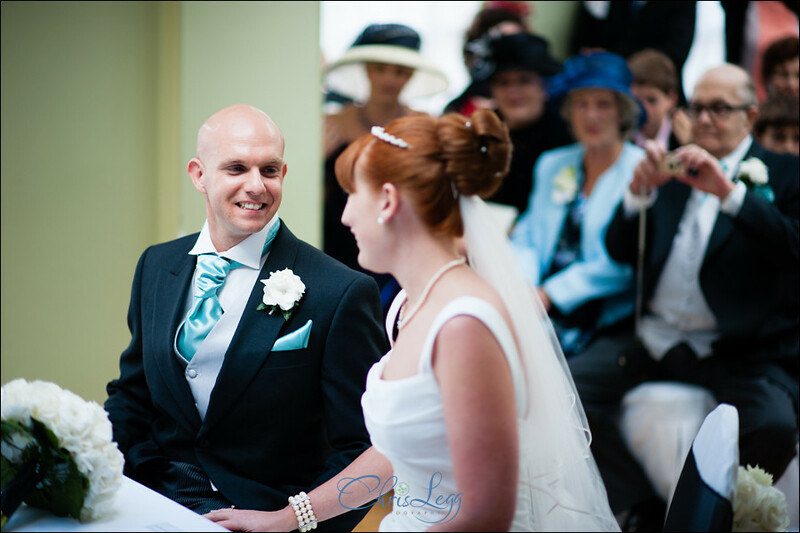 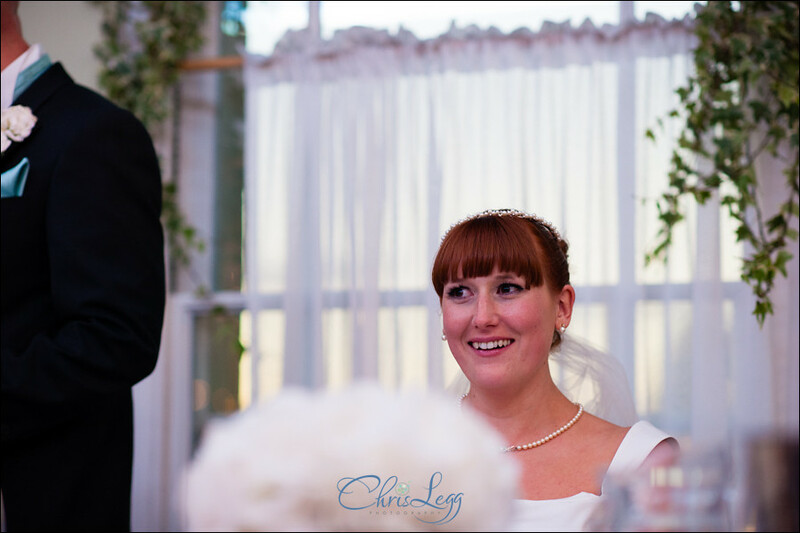 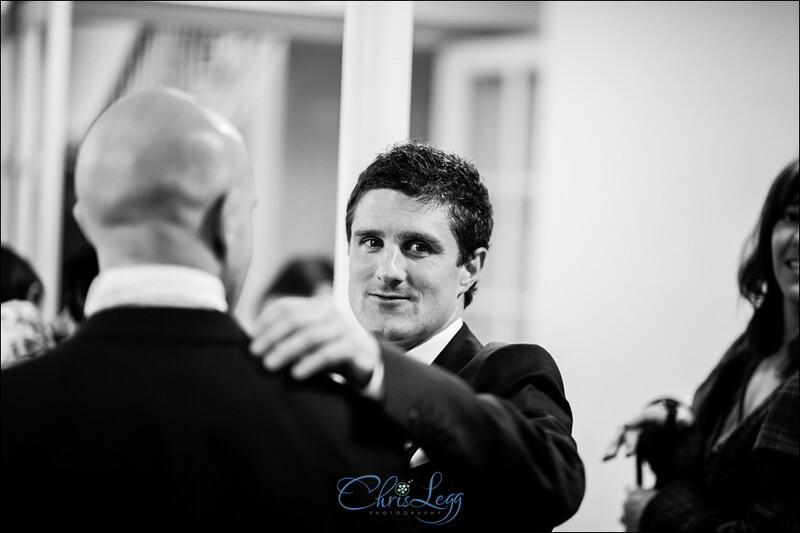 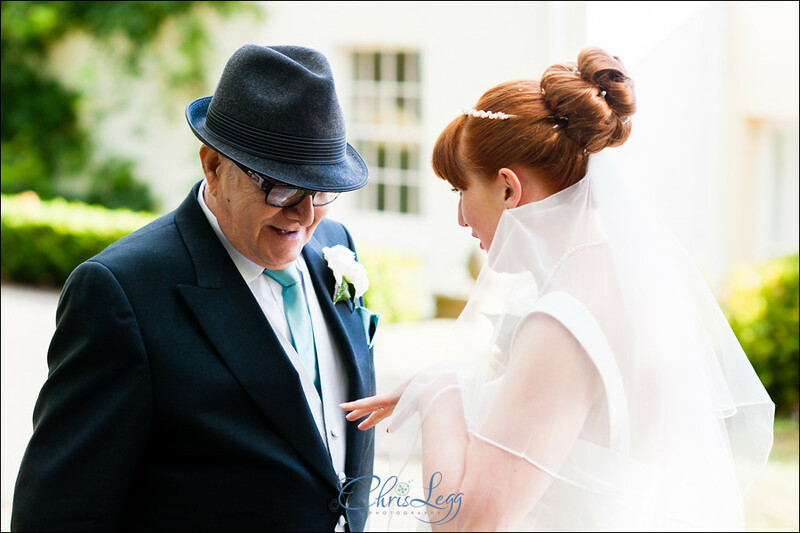 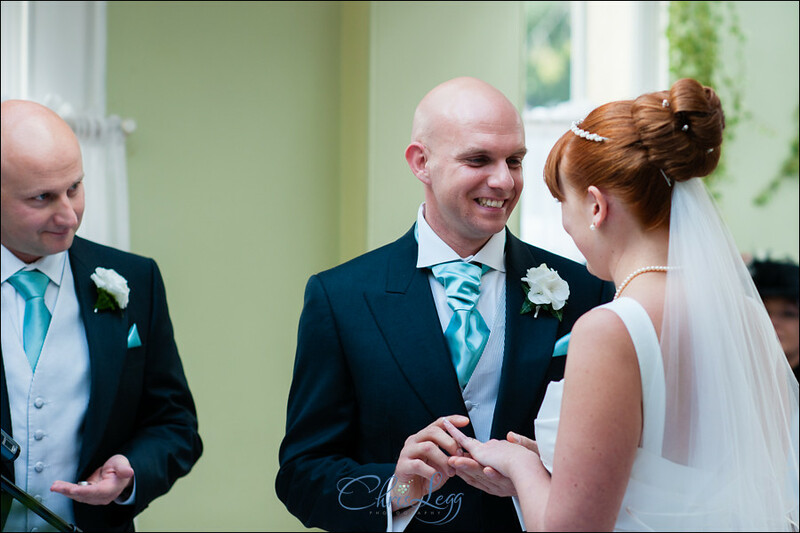 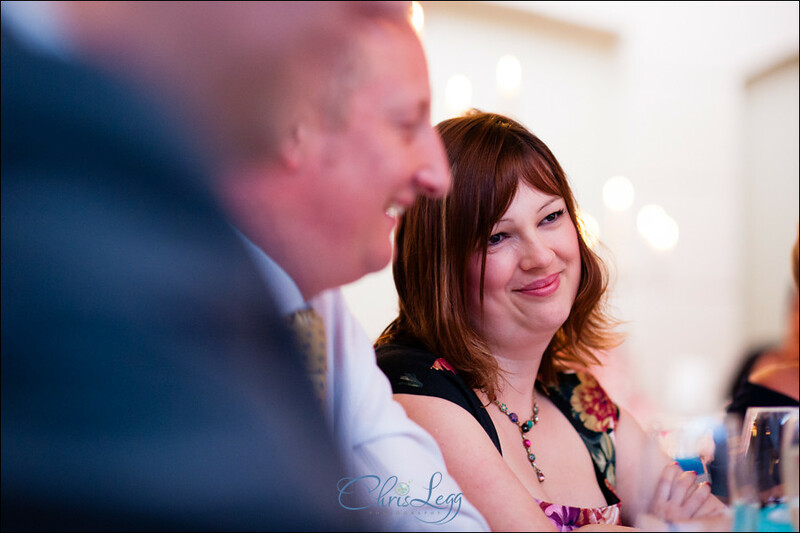 I’d really been looking forward to providing the Wedding Photography at Pembroke Lodge for Dom and Jo for a while now. 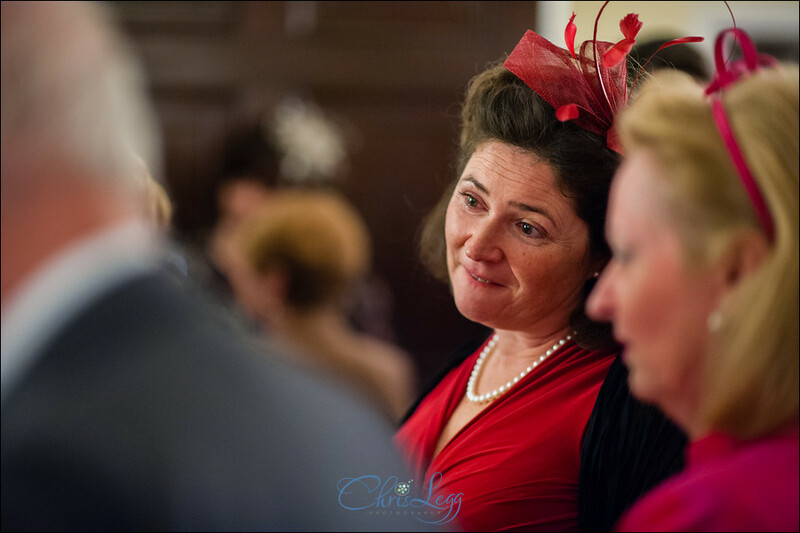 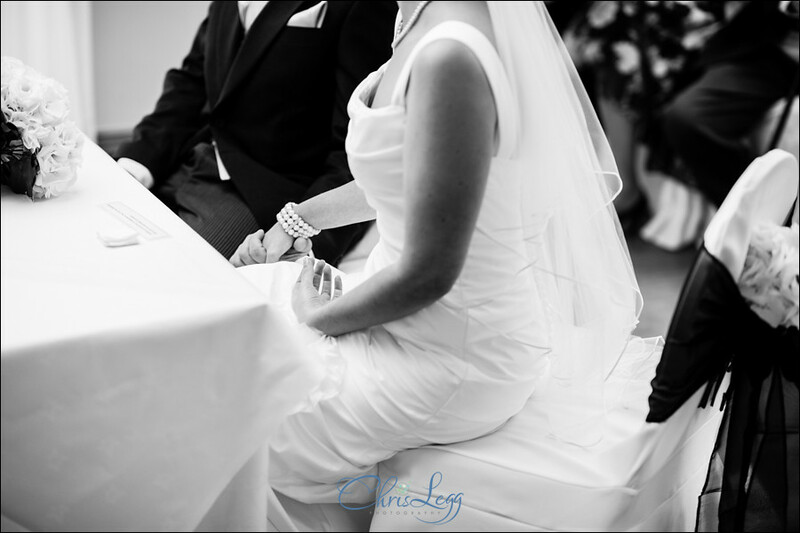 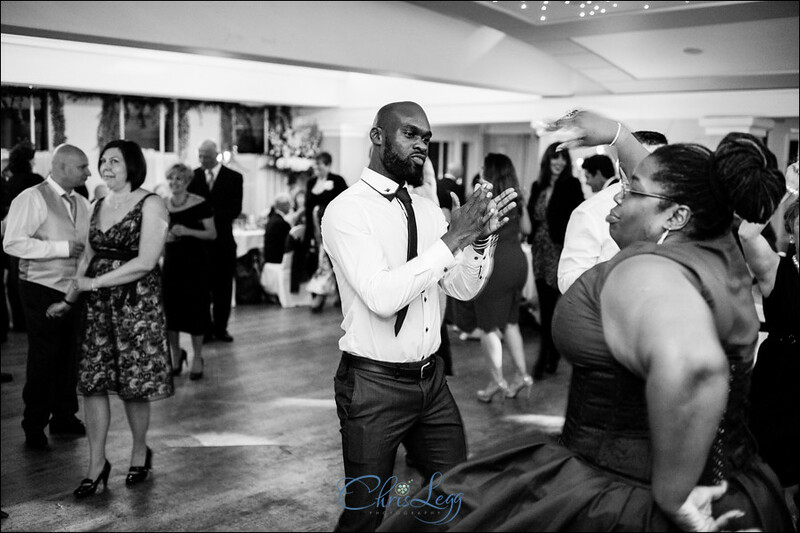 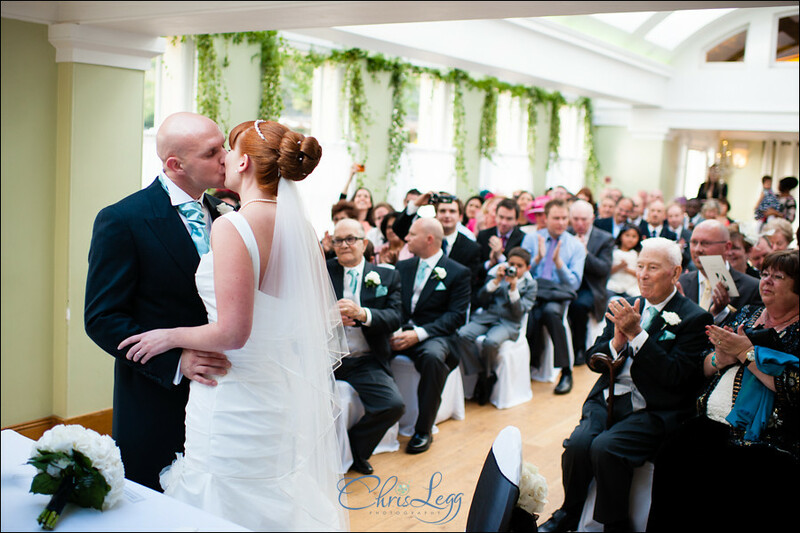 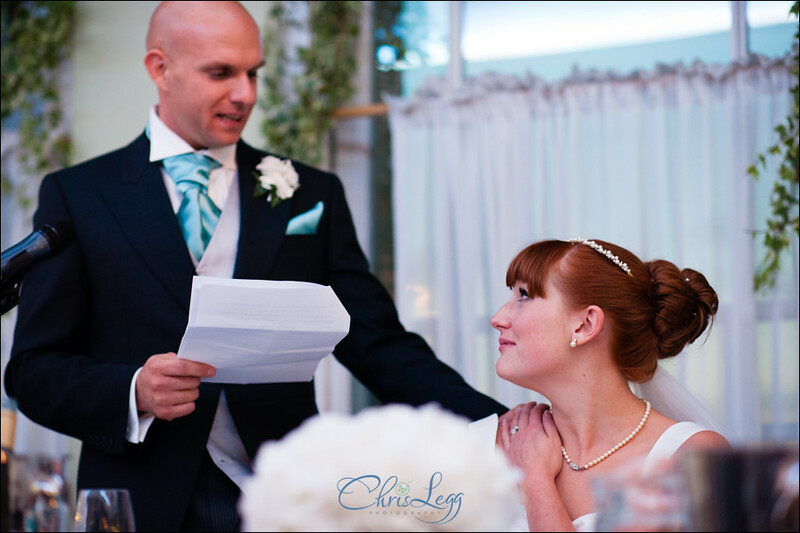 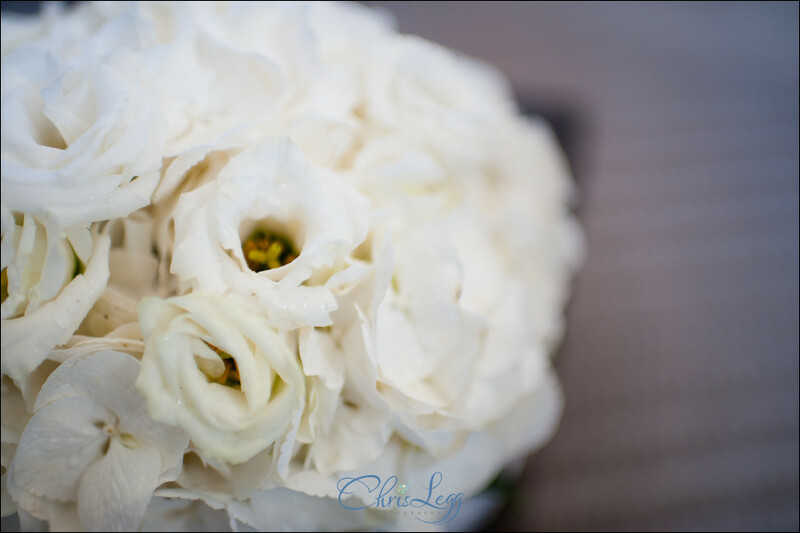 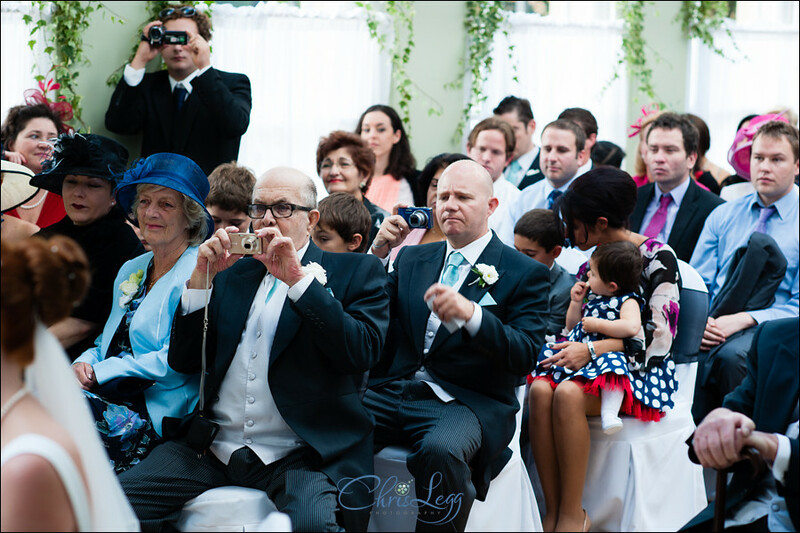 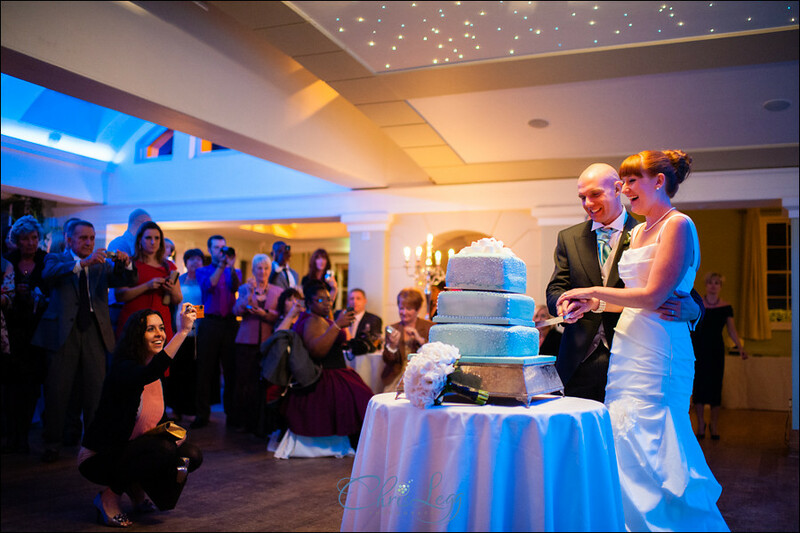 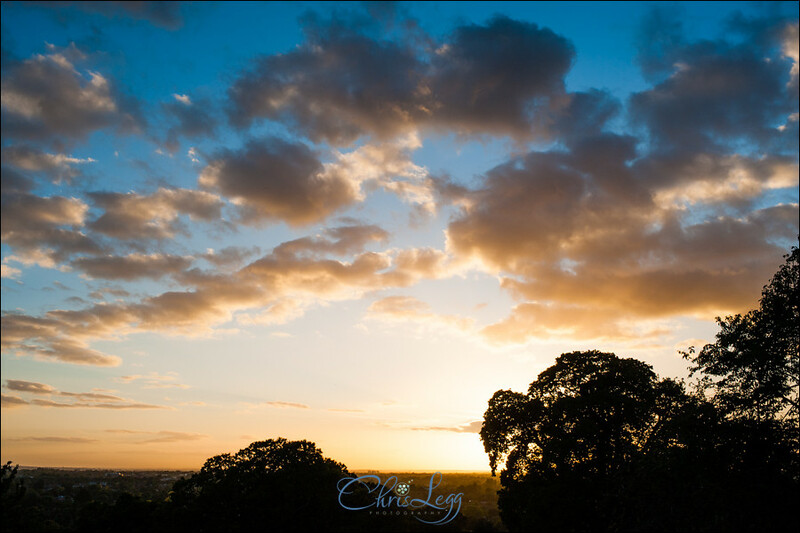 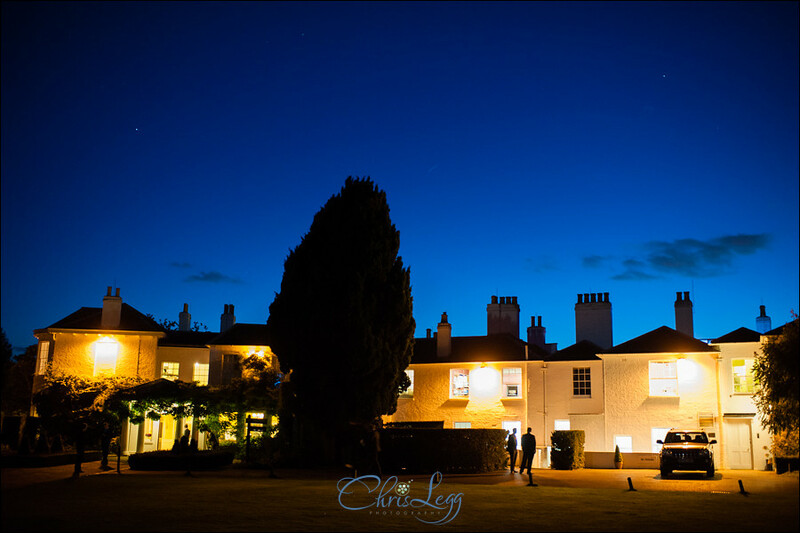 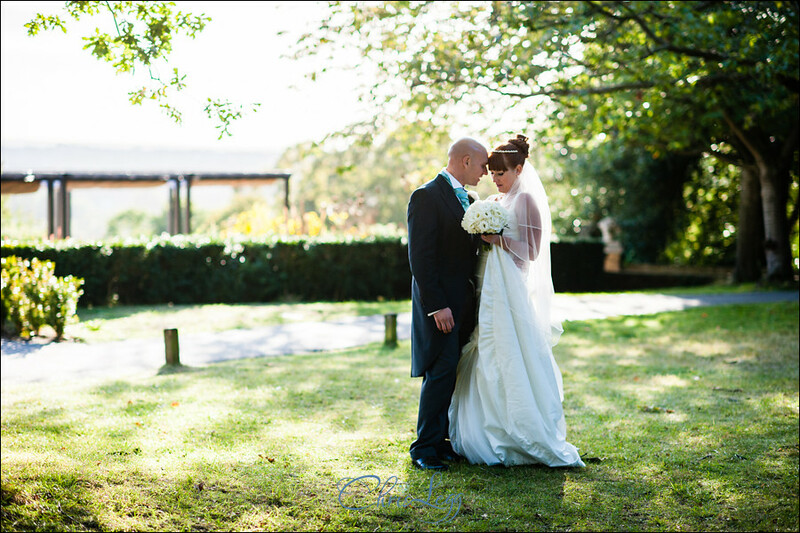 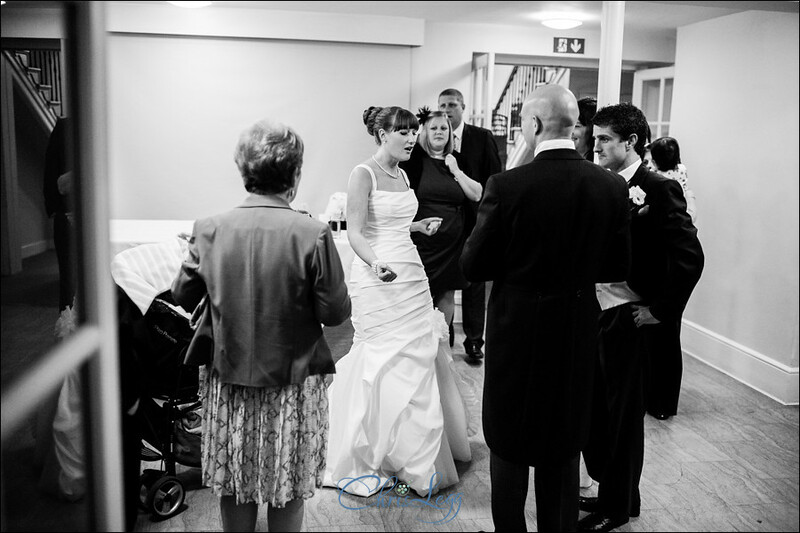 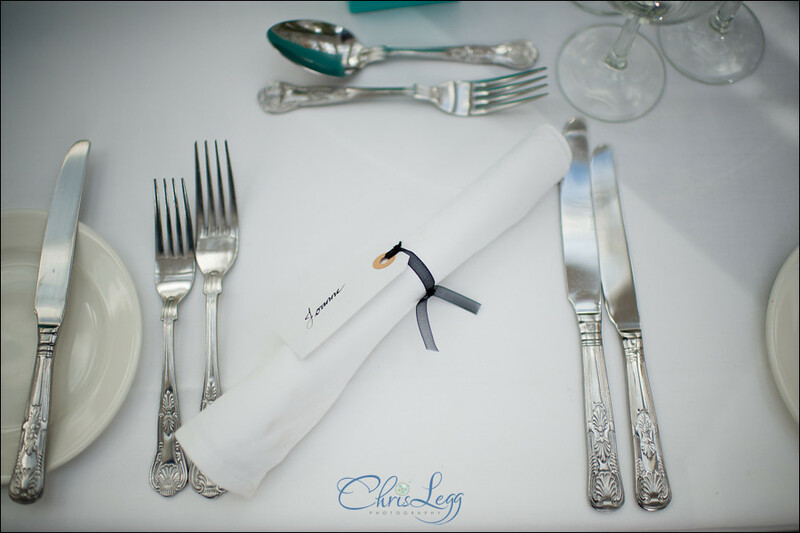 They are a really fantastic couple and Pembroke Lodge is a stunning location for a wedding. 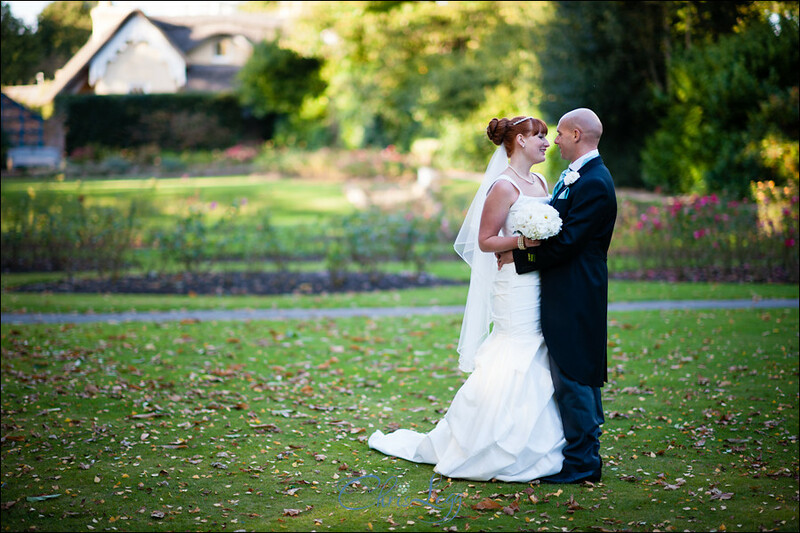 We met up a while back for their Pre-Wedding Shoot in Isabella Plantation. 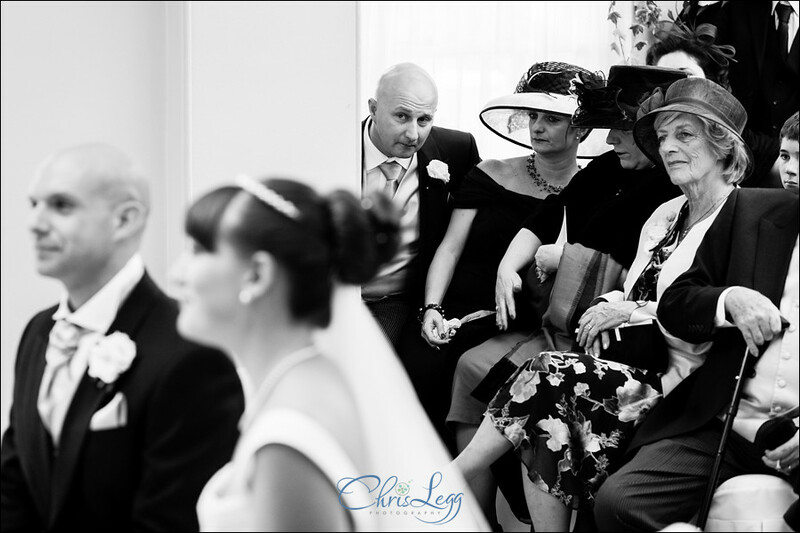 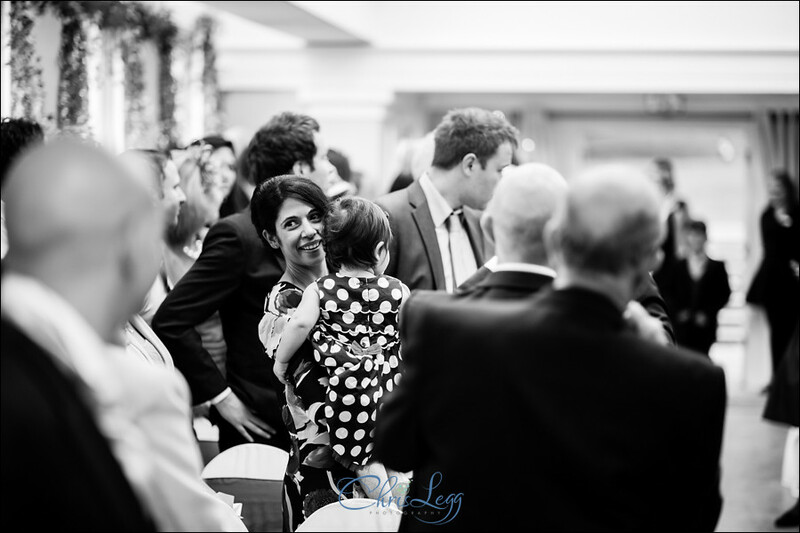 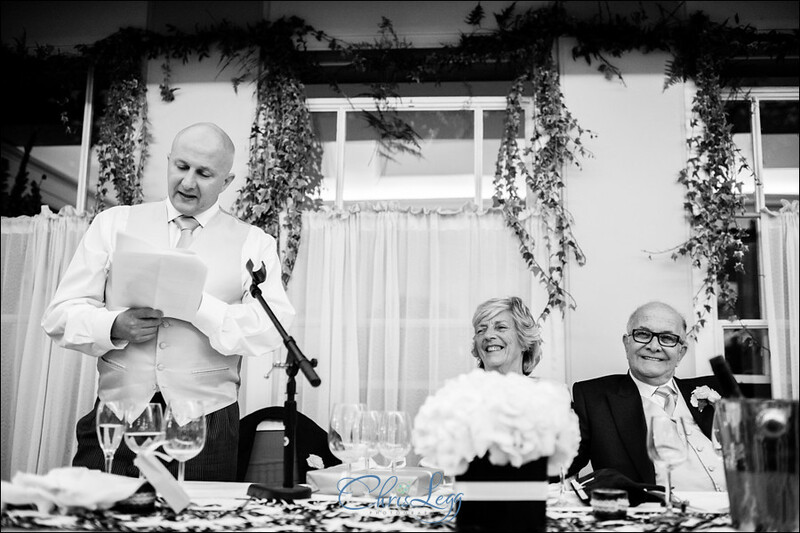 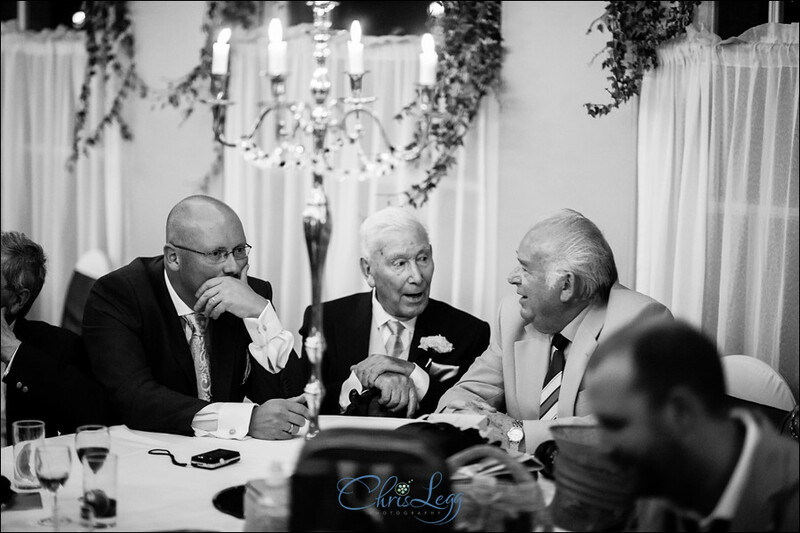 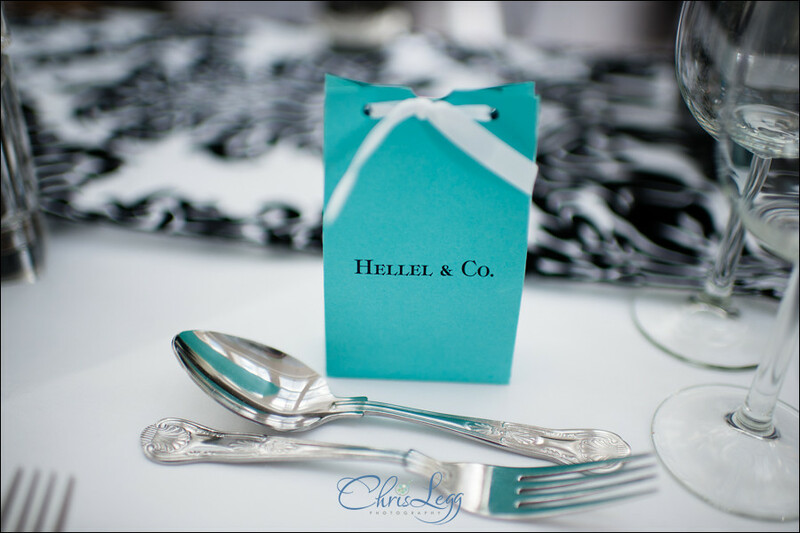 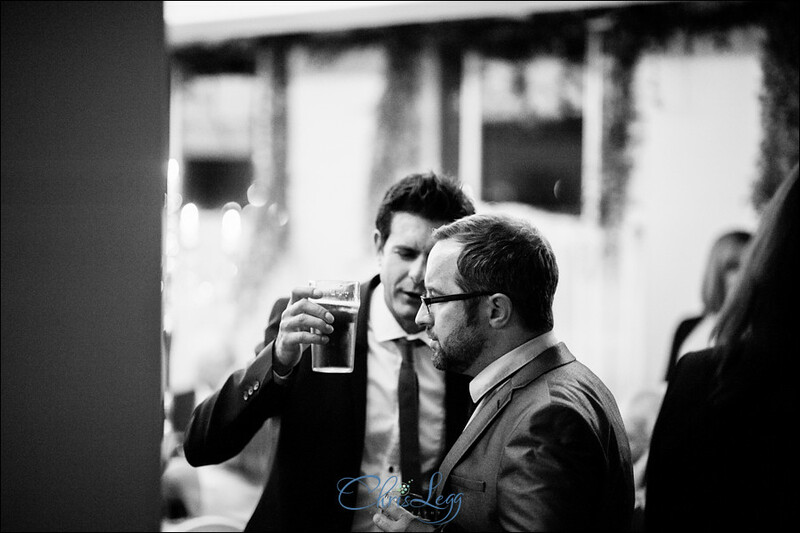 It was good to catch up and go through the plans for the day and, as always, meant that when I turned up on the wedding day there was a much more relaxed atmosphere. 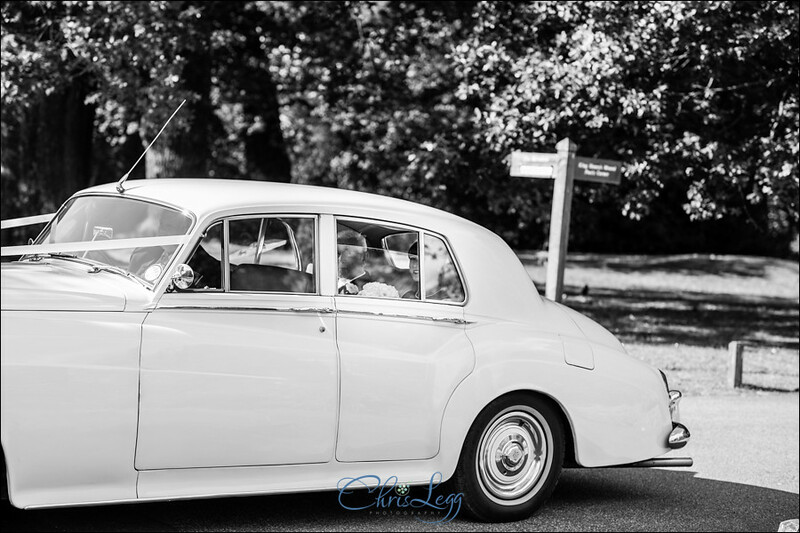 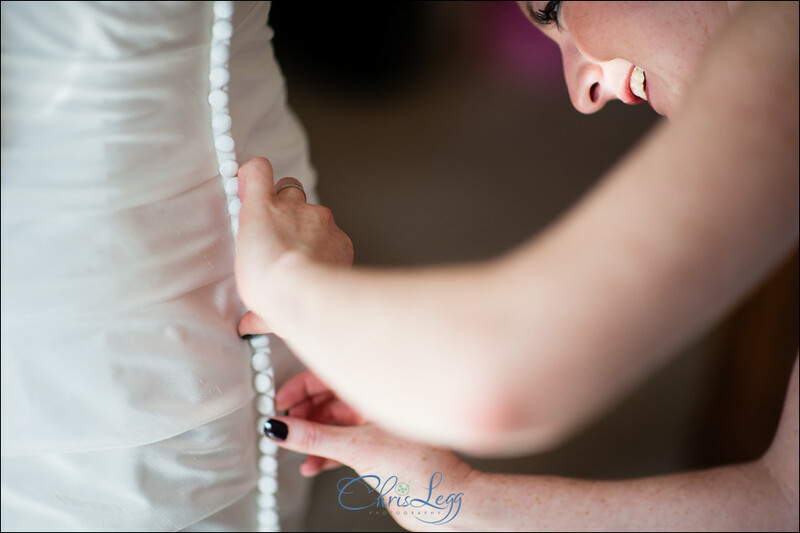 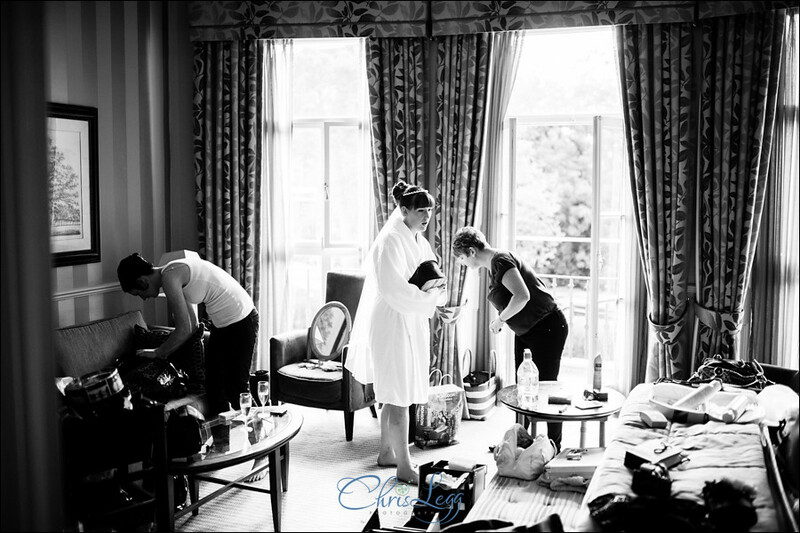 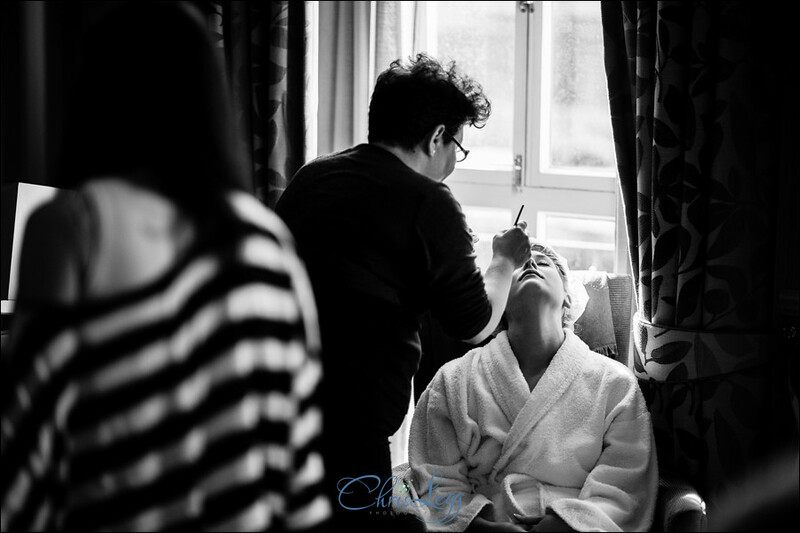 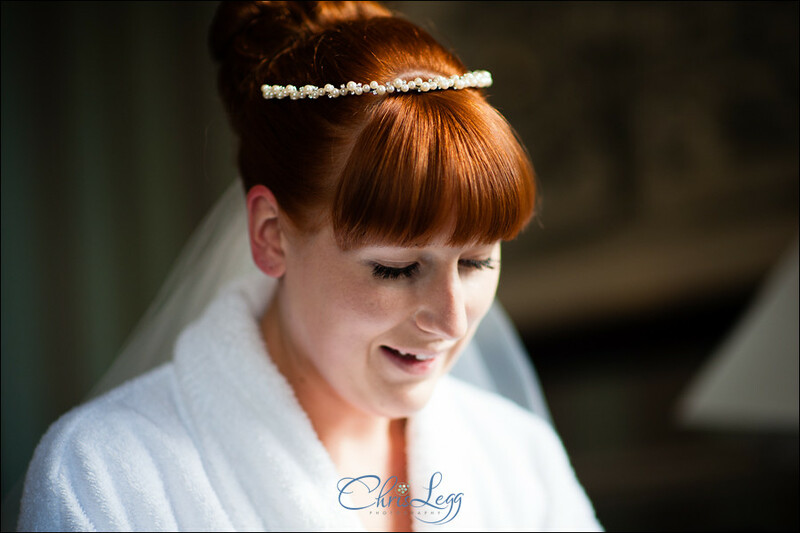 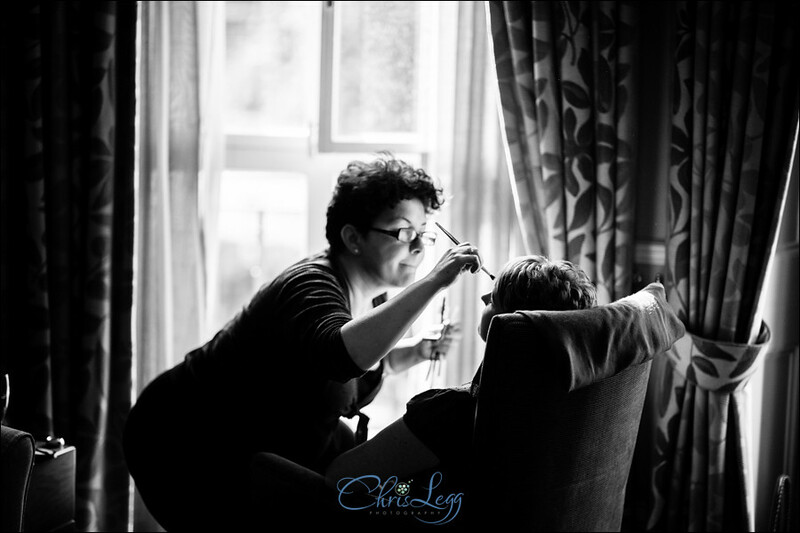 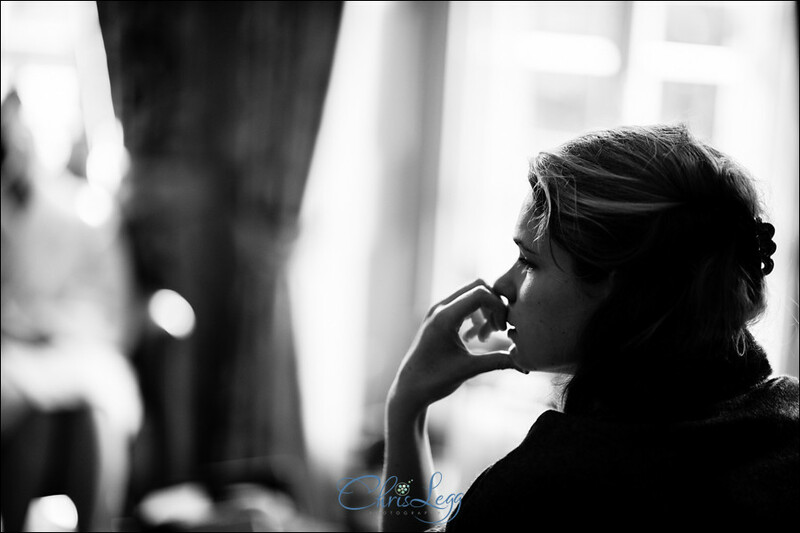 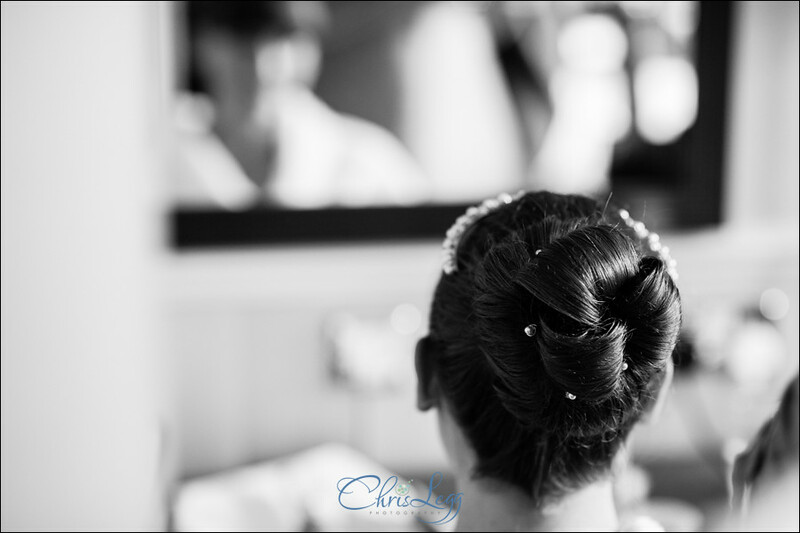 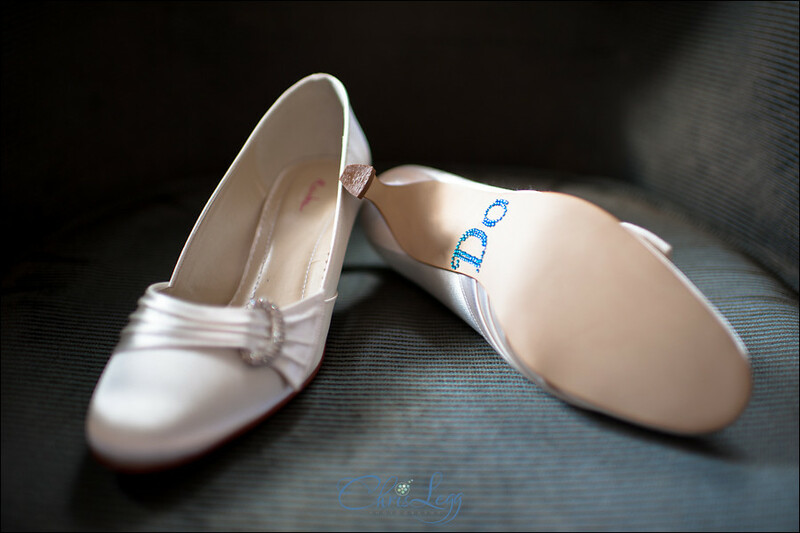 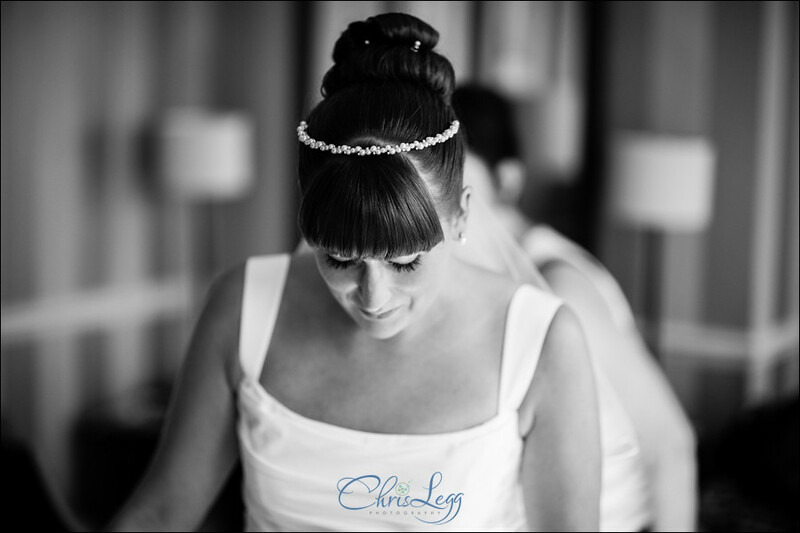 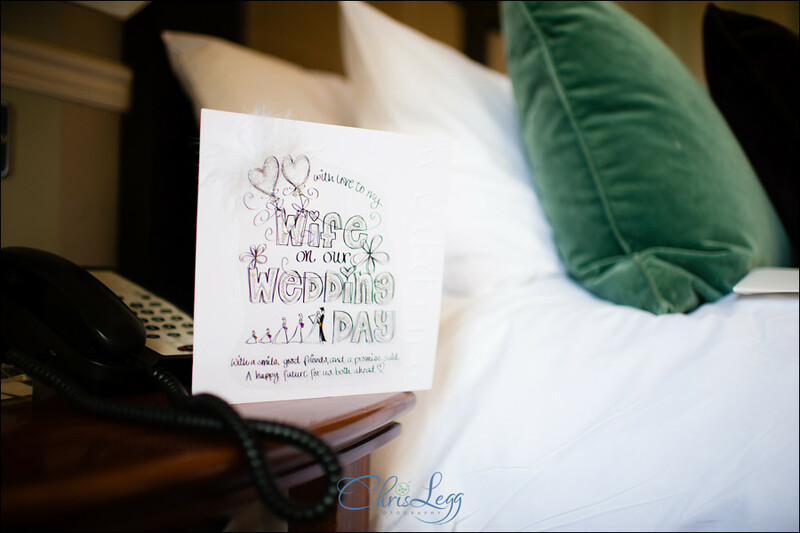 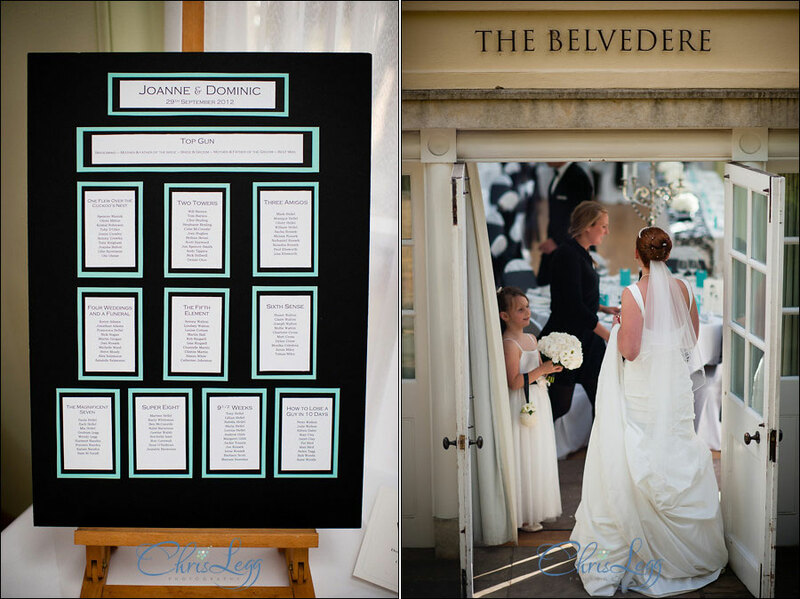 The bridal prep took place at the Richmond Gate Hotel, just outside Richmond Park. 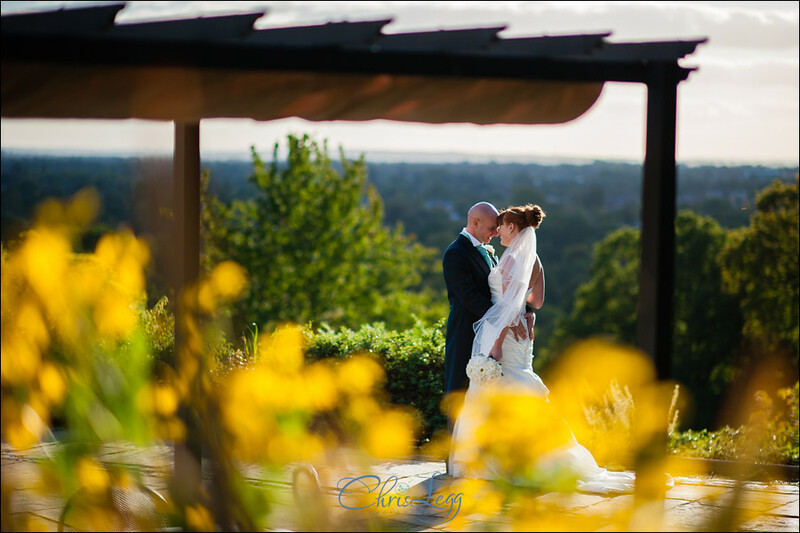 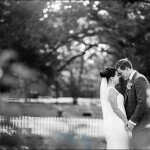 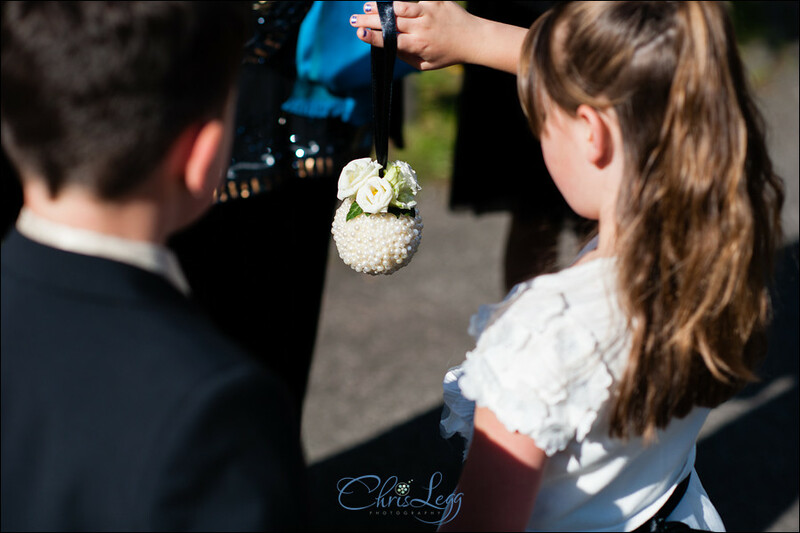 As with all my September weddings this year, we were blessed with gorgeous sunshine! 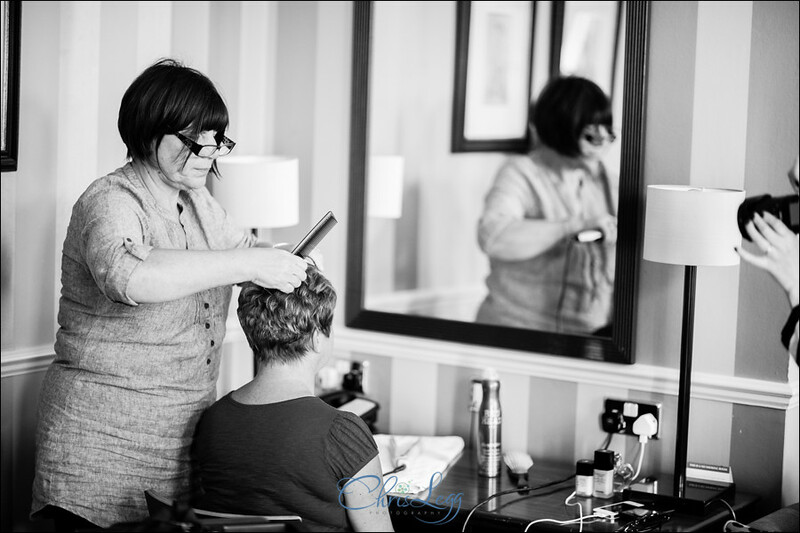 Jo was incredibly calm and relaxed and before we knew it it was time for the short drive to Pembroke Lodge for the ceremony and reception. 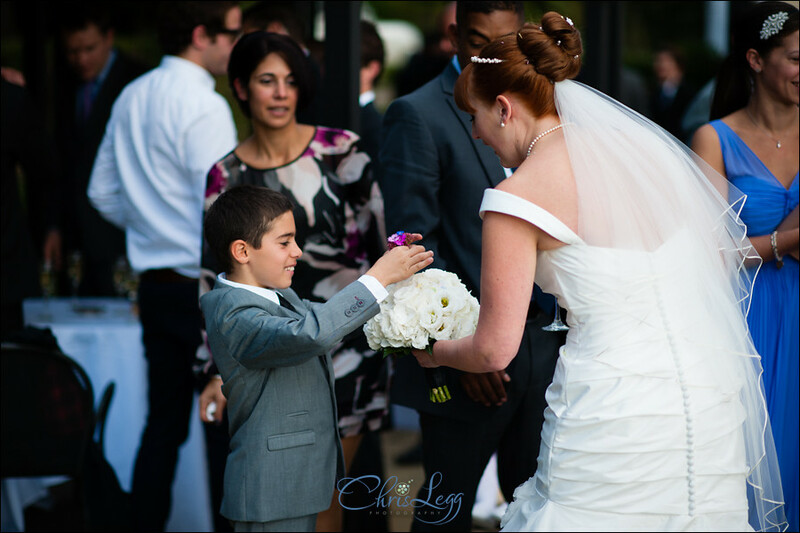 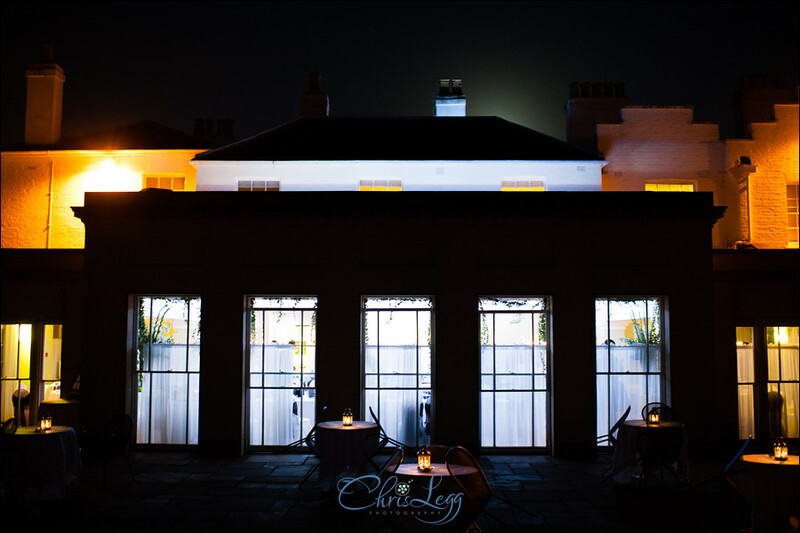 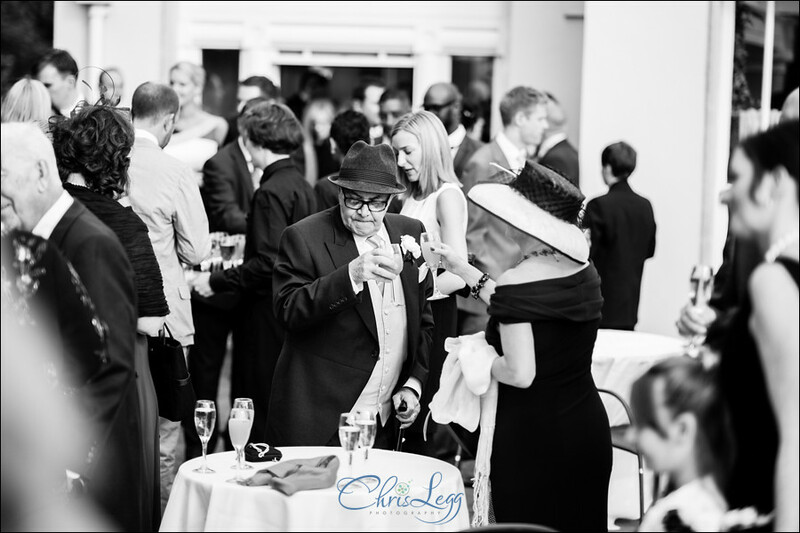 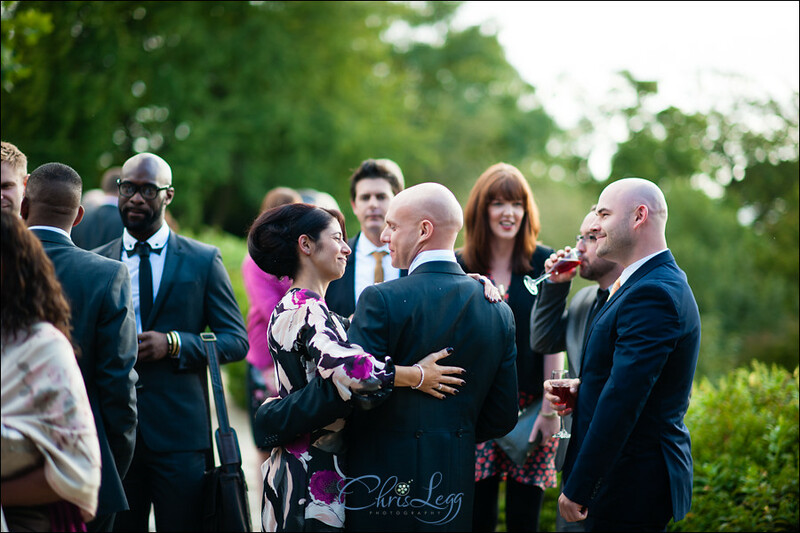 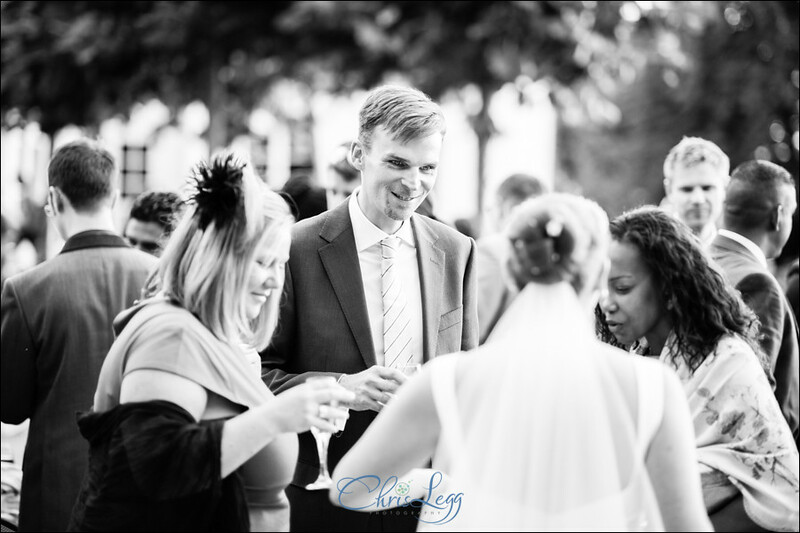 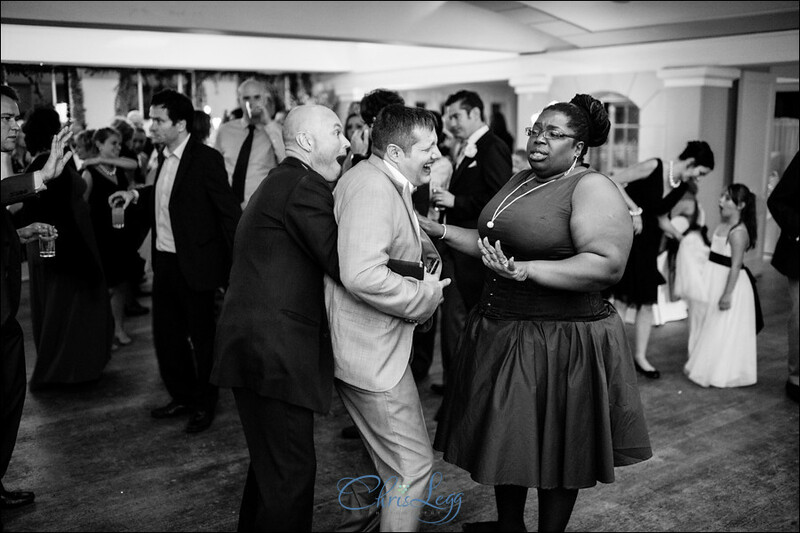 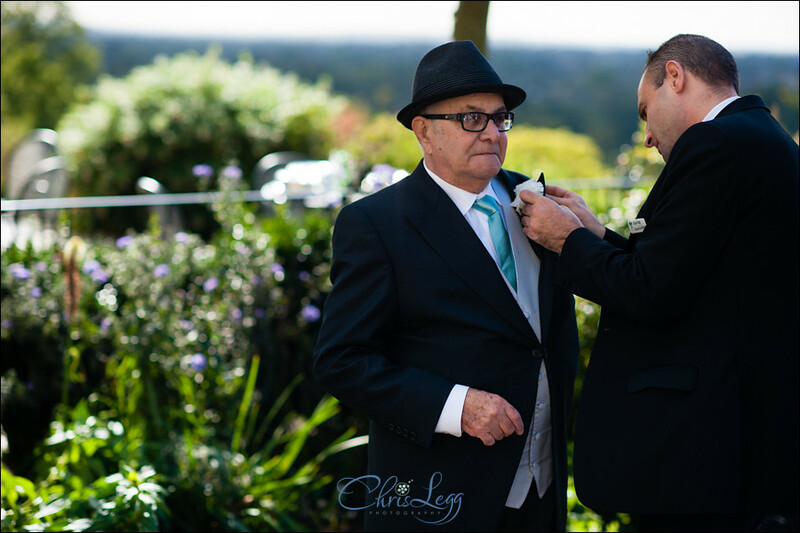 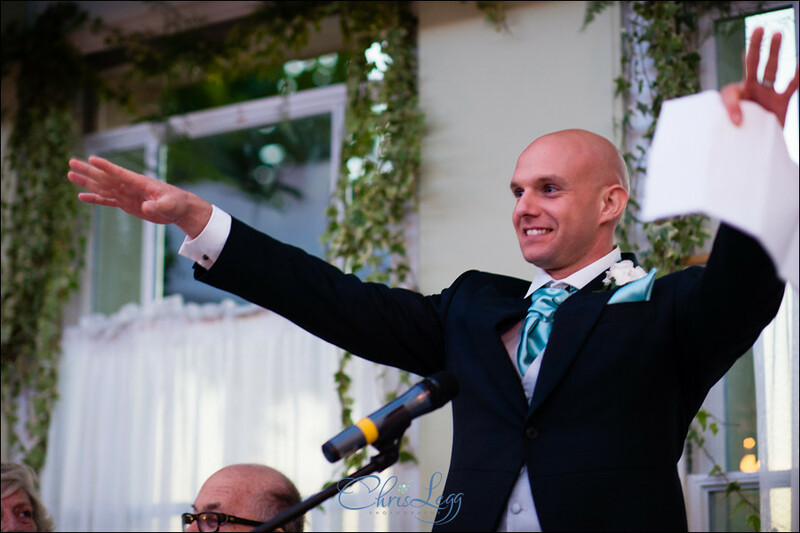 Once at Pembroke Lodge, I met up with Dom as the guests all mingled on the gorgeous terrace taking in the breathtaking views over South West London and the River Thames. 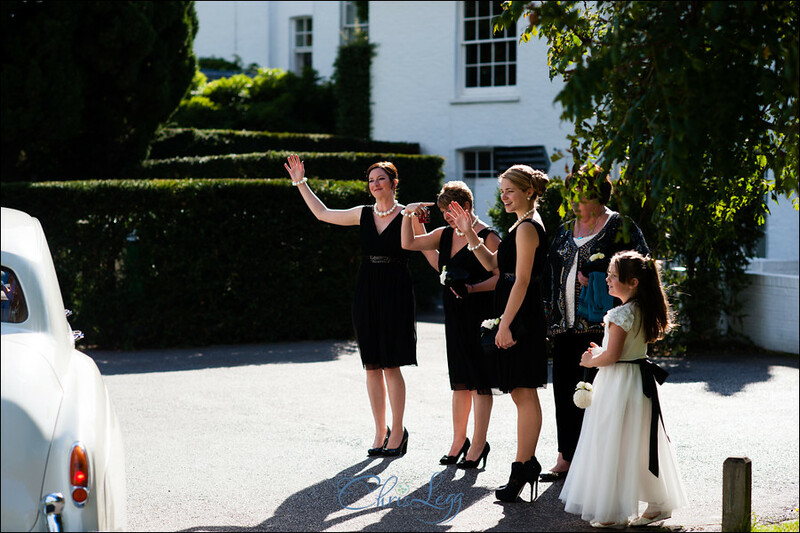 Shortly after, the bridesmaids arrived signalling the time for every to enter The Belvedere to wait for Jo to arrive. 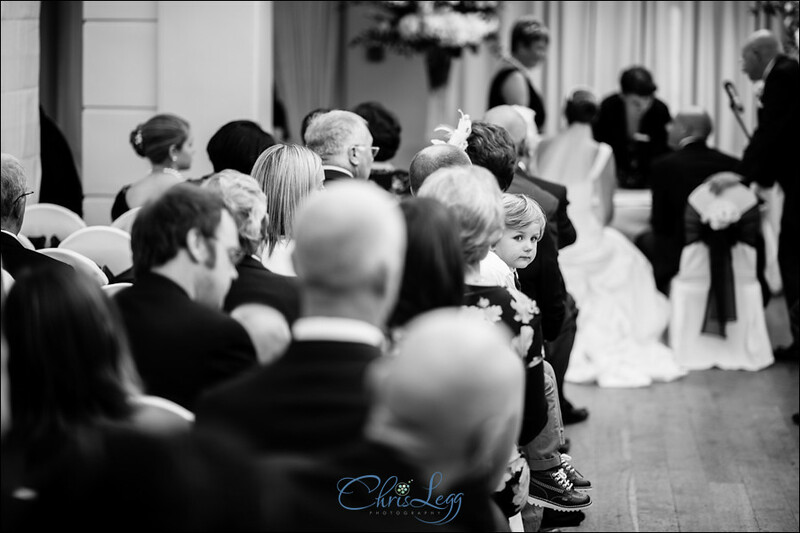 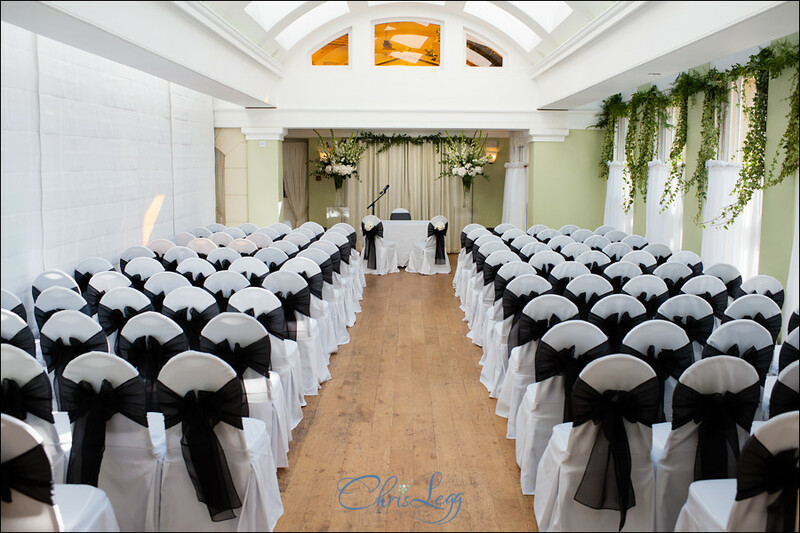 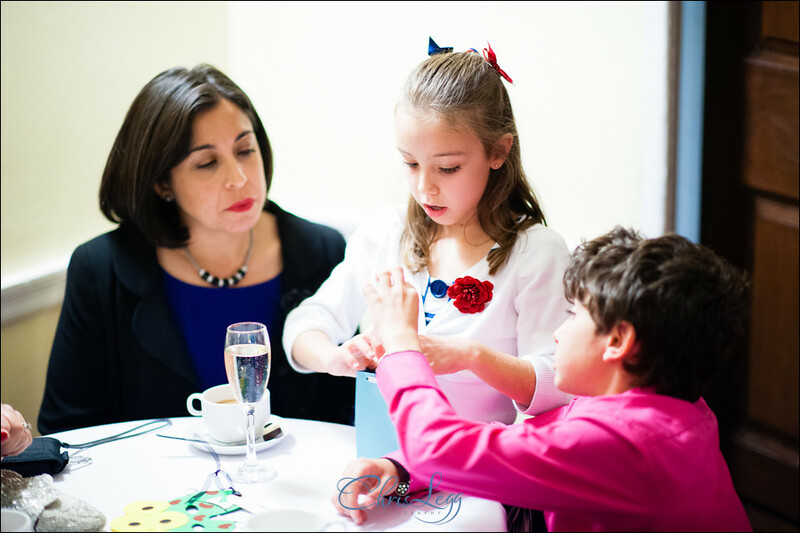 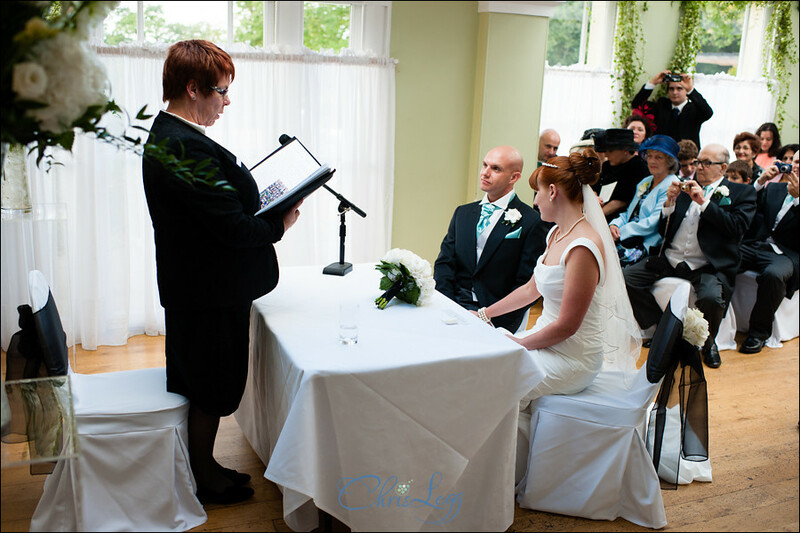 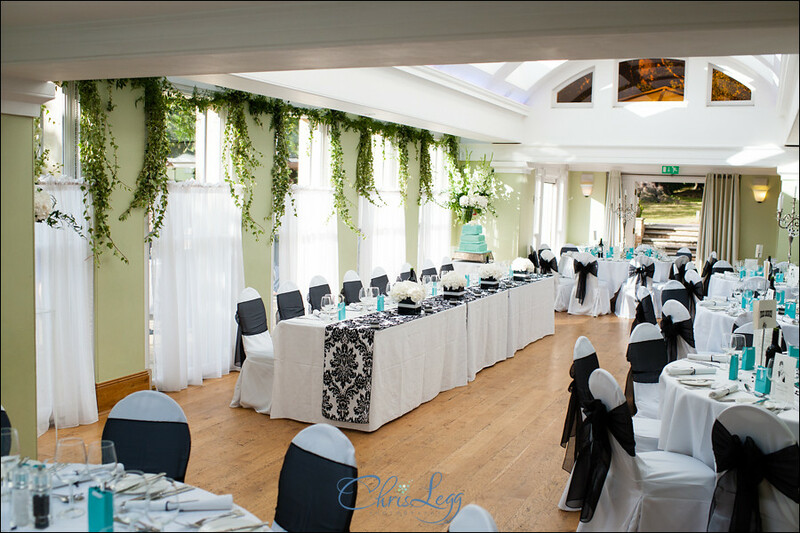 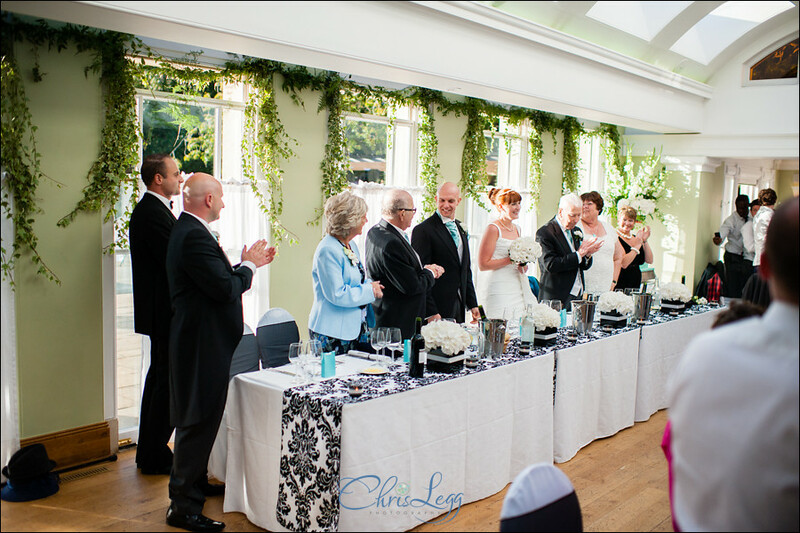 It’s a fantastic room for a civil ceremony and was beautifully decorated. 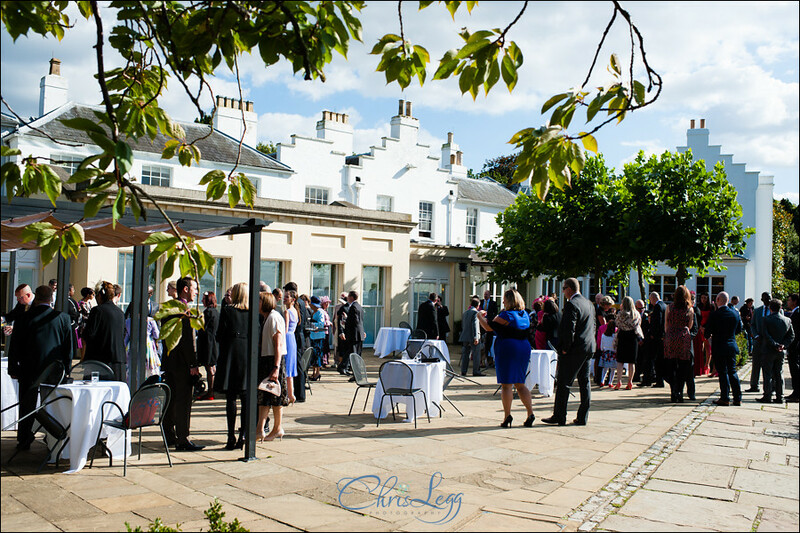 After the ceremony it was back out to the terrace to make the most of the late summer/early autumn sunshine. 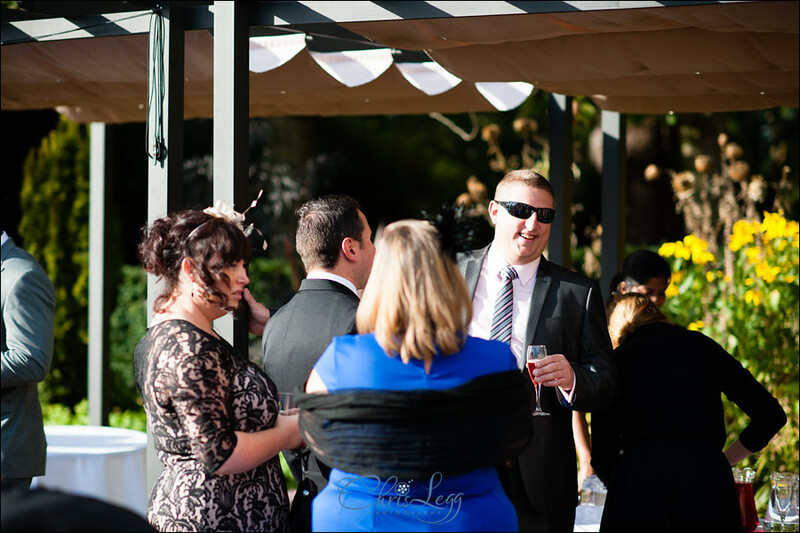 The group shots were done and dusted pretty quickly, allowing everyone to get on with enjoying the day before heading in for the wedding reception. 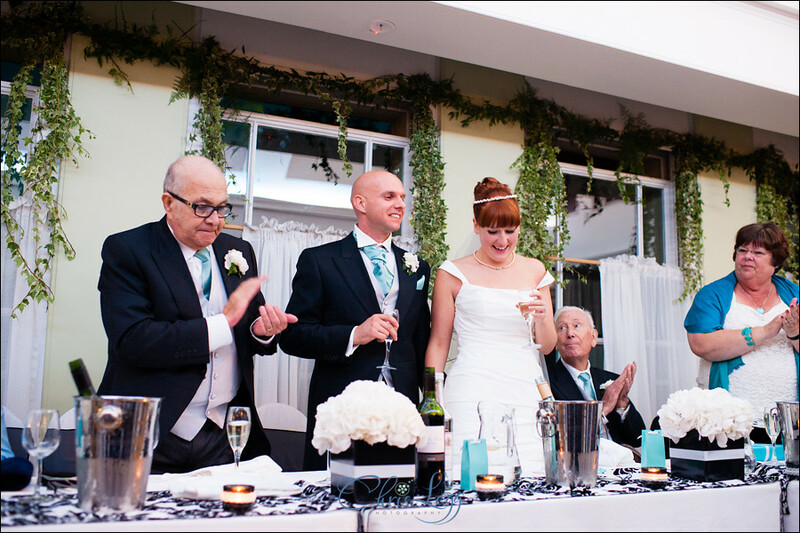 Some really great speeches followed, after which the room was turned around for the evening reception. 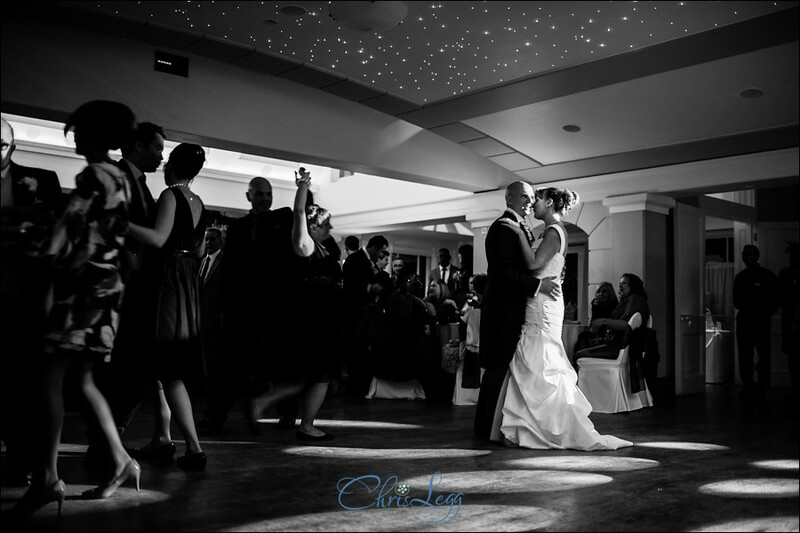 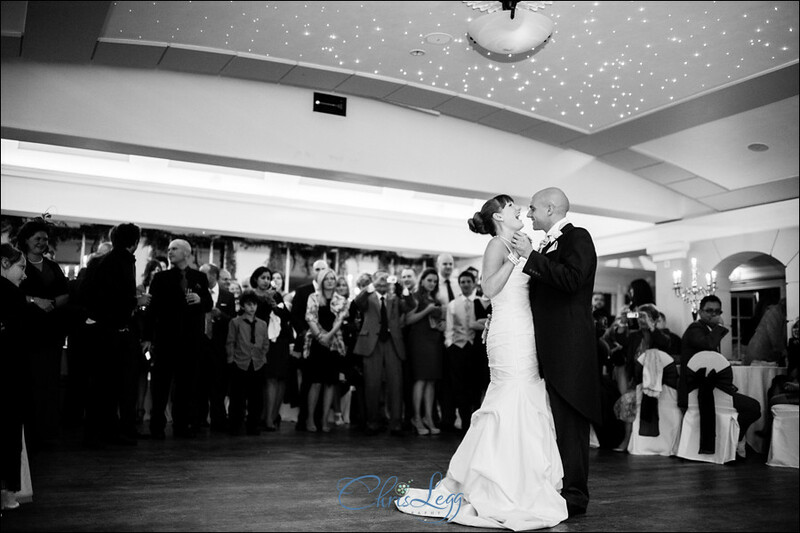 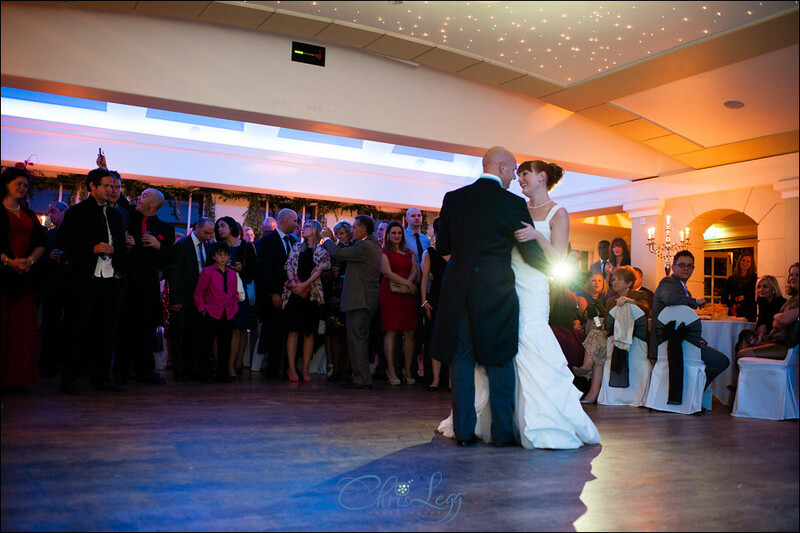 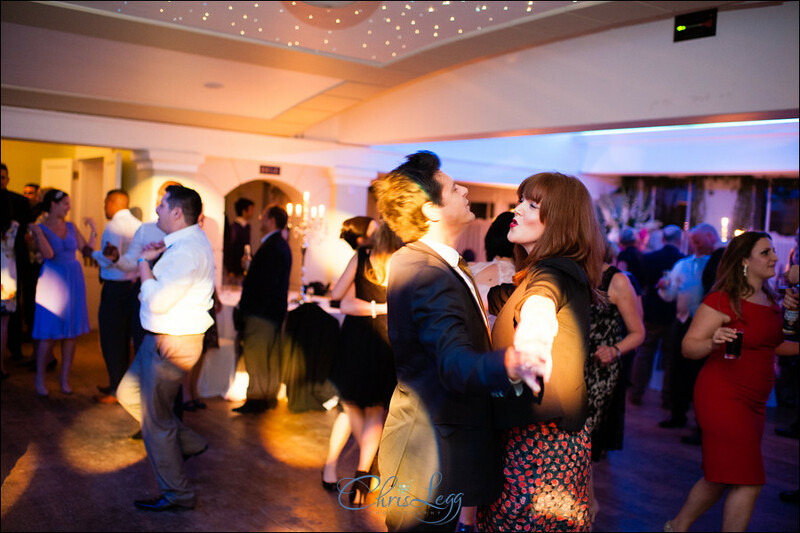 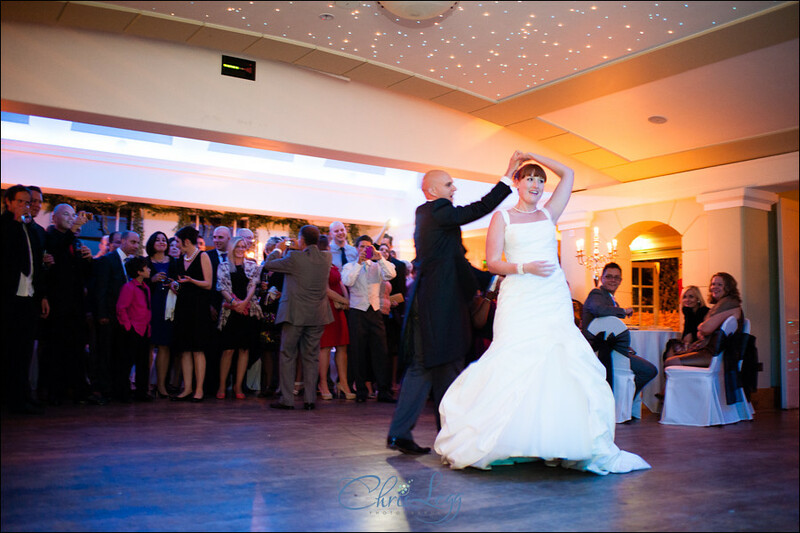 It’s an amazing room for the evening, lovely ambient light and the stunning starlit ceiling make for some very special first dance shots. 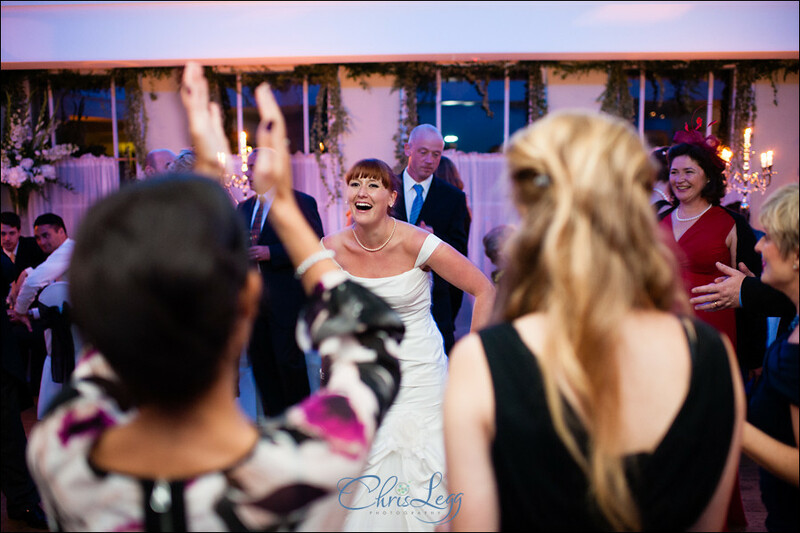 The dance floor was then packed for the rest of the evening giving me loads of opportunities for some fantastic dance shots and great reactions in one of my favourite parts of the day. 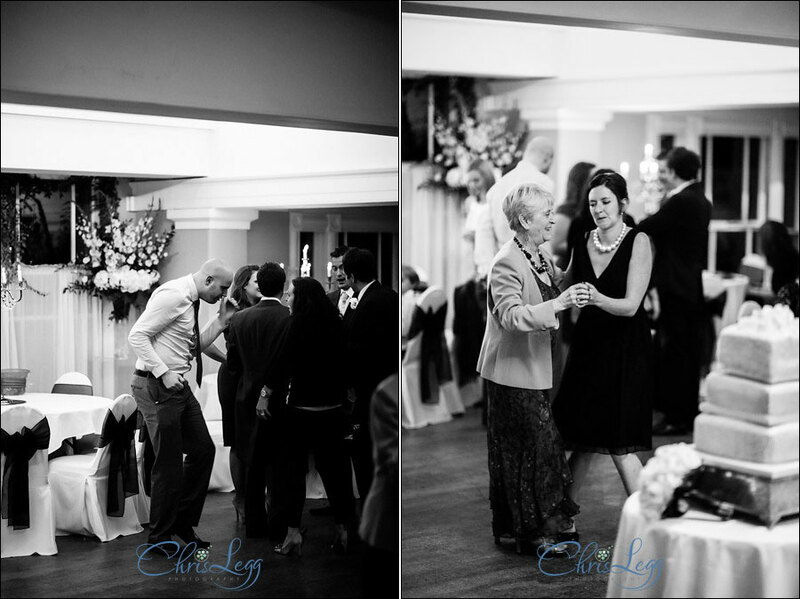 As per usual, below are some of my favourite images from the day that I feel really tell the story. 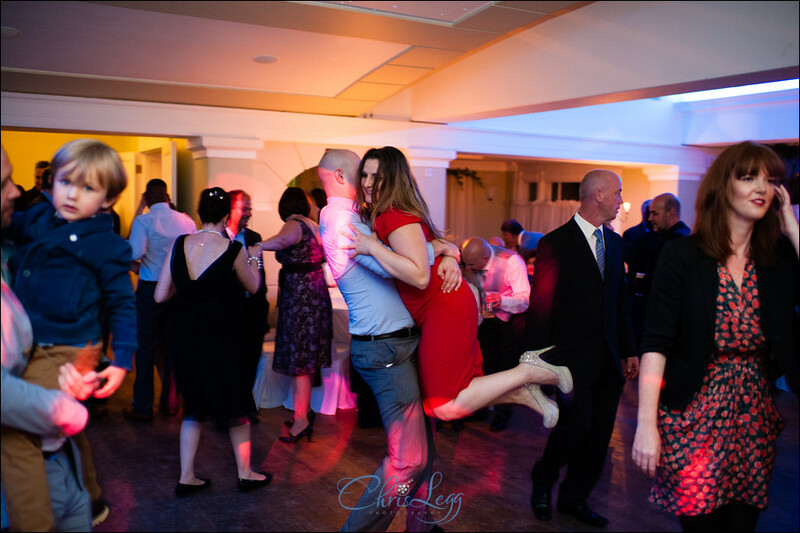 The full set of images can be viewed by guests in my Client Galleries, you just need the password from Dom and Jo. 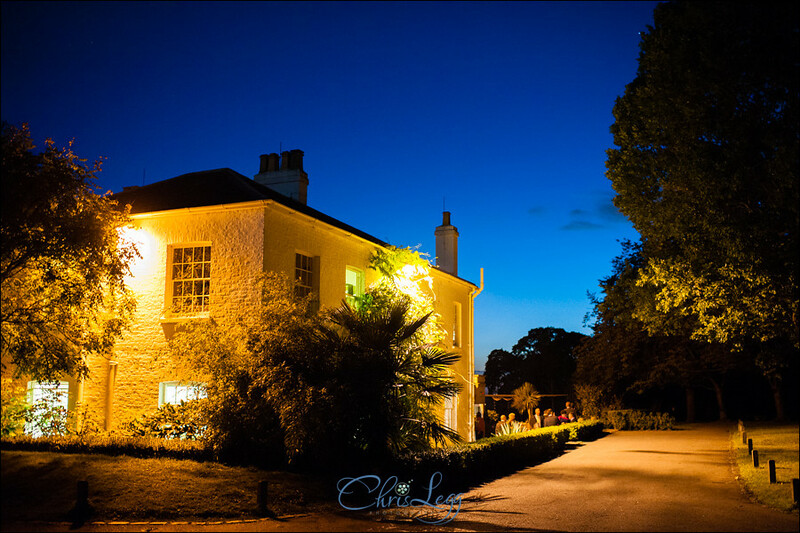 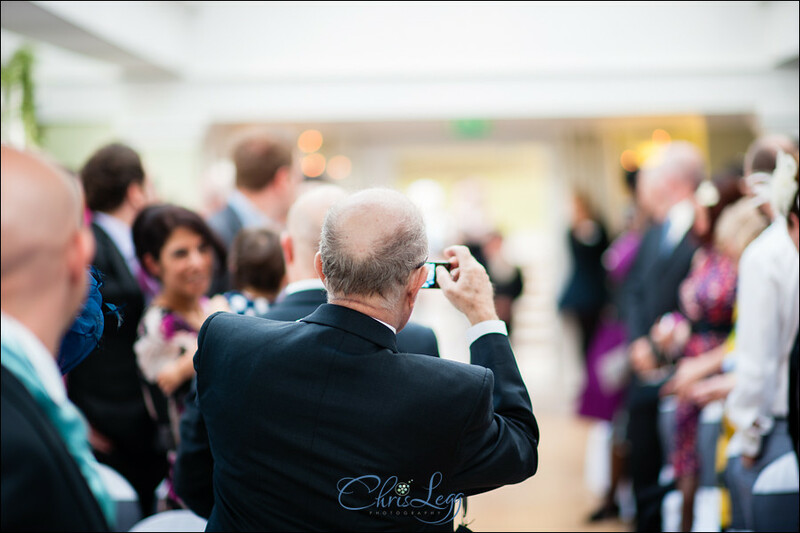 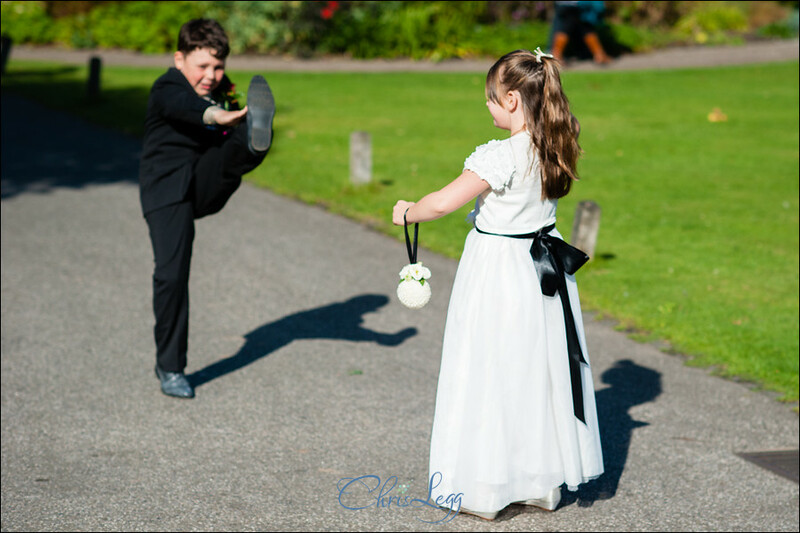 If you are here looking for Wedding Photography at Pembroke Lodge and would like to have a chat through the various options, please get in touch. 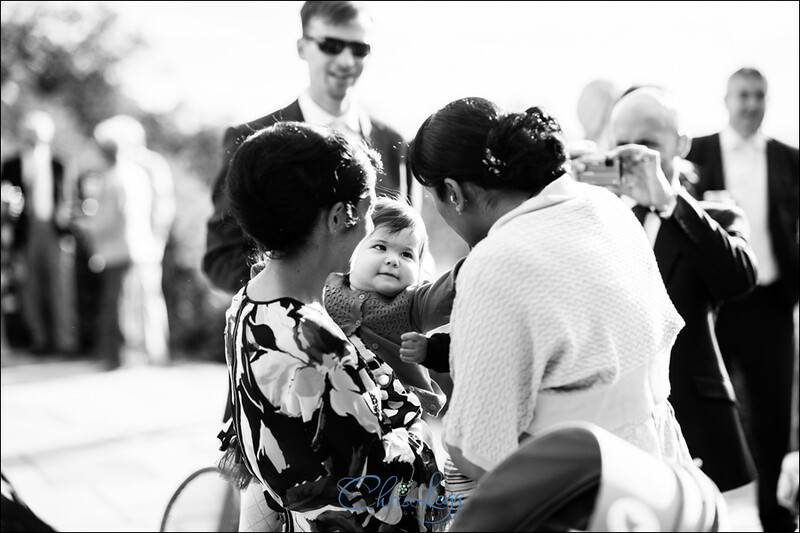 Comments, shares, likes etc on the images are all hugely appreciated. 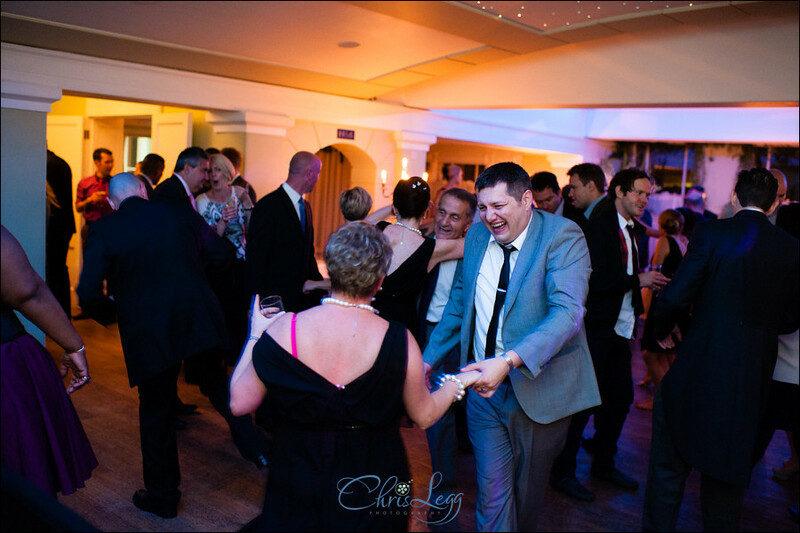 Great set Chris. 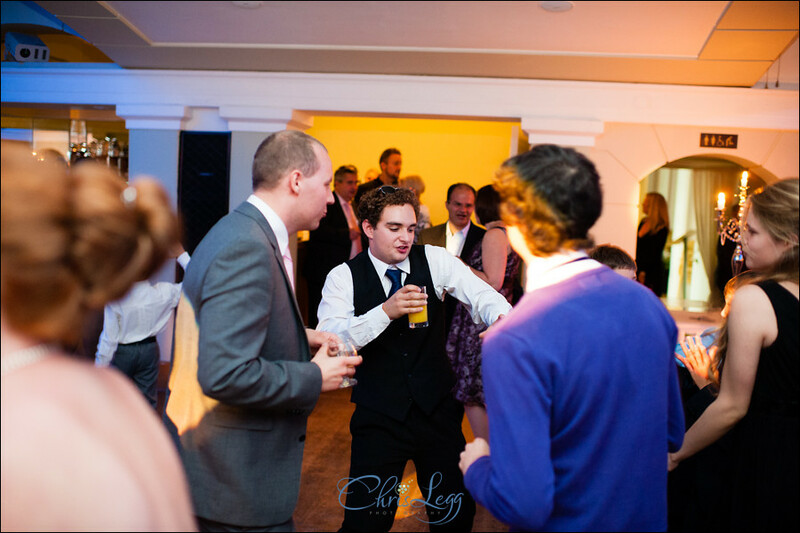 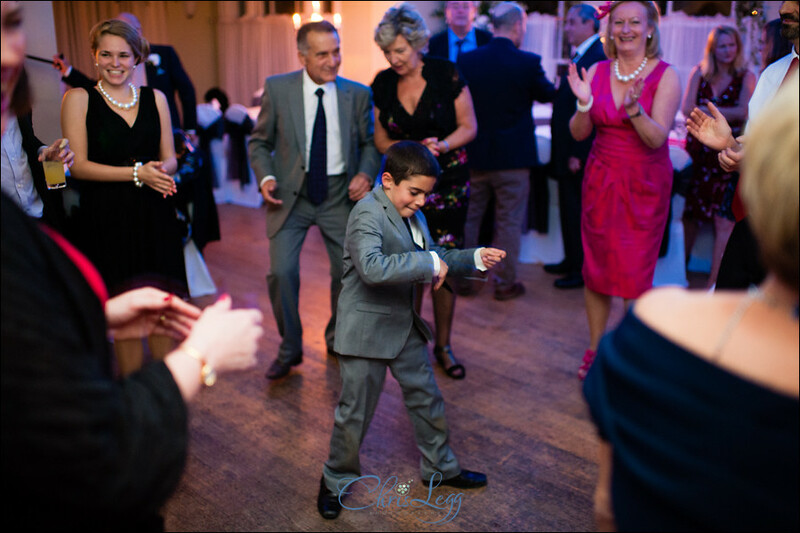 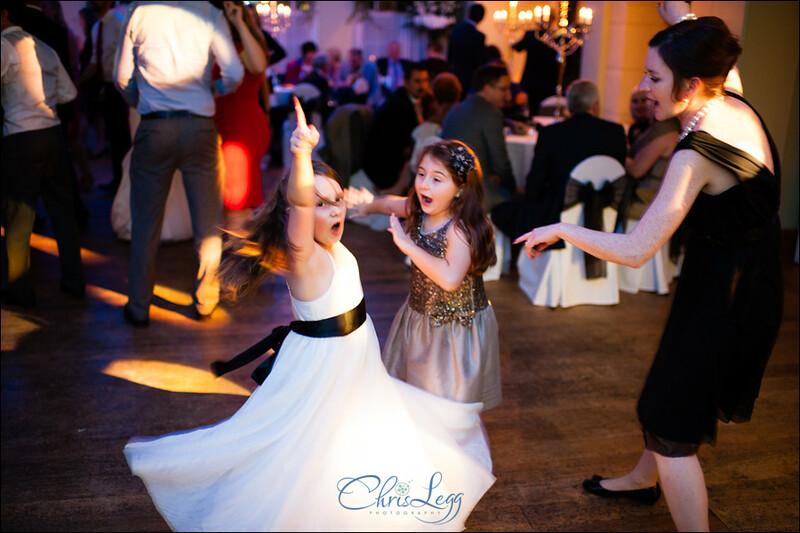 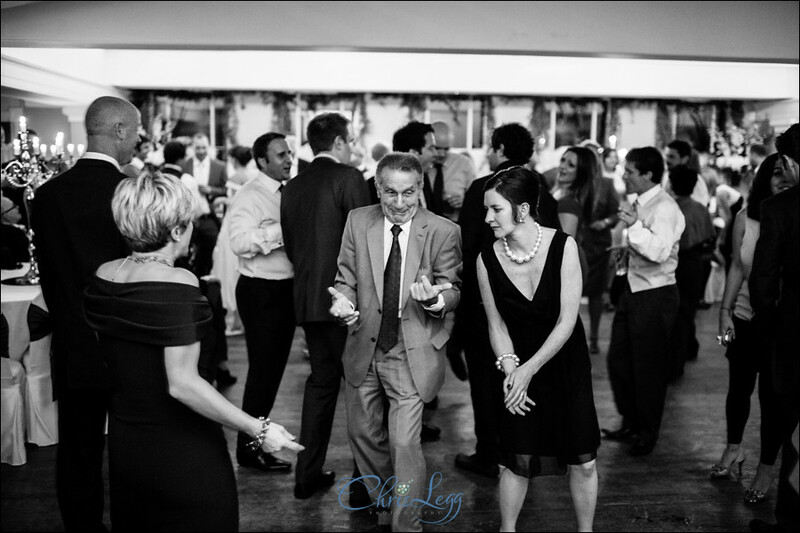 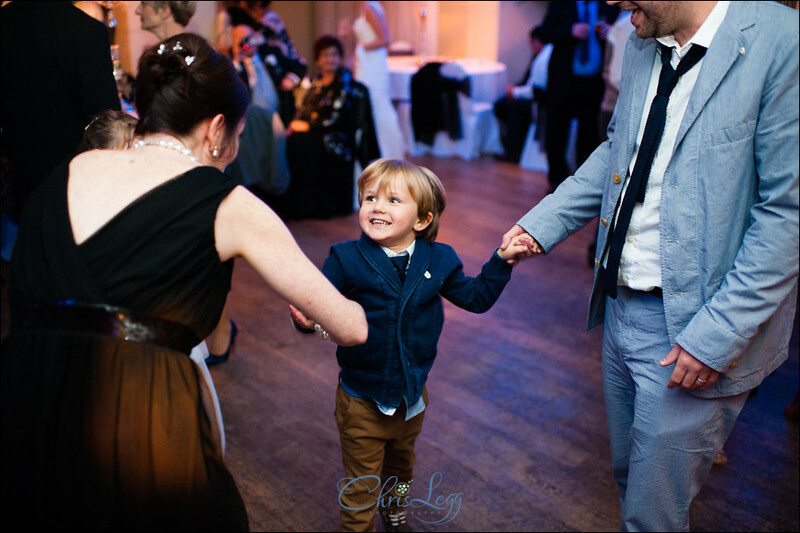 Love the shots of the kids on the dance floor! 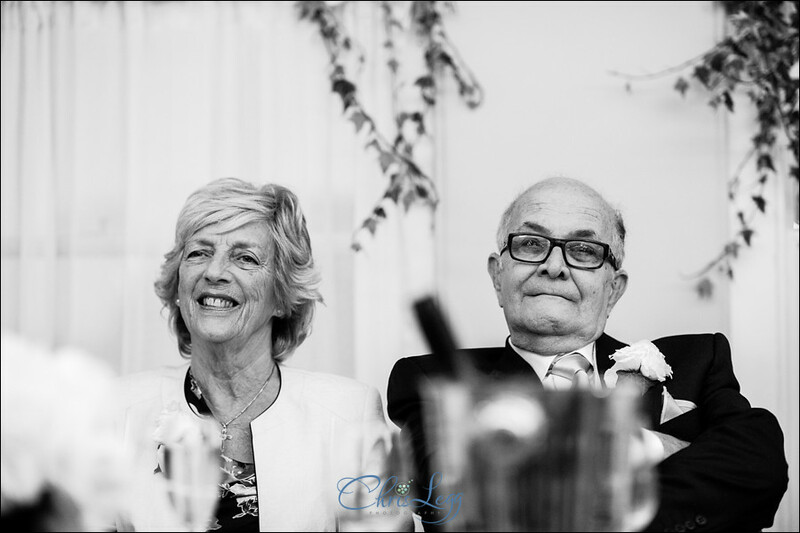 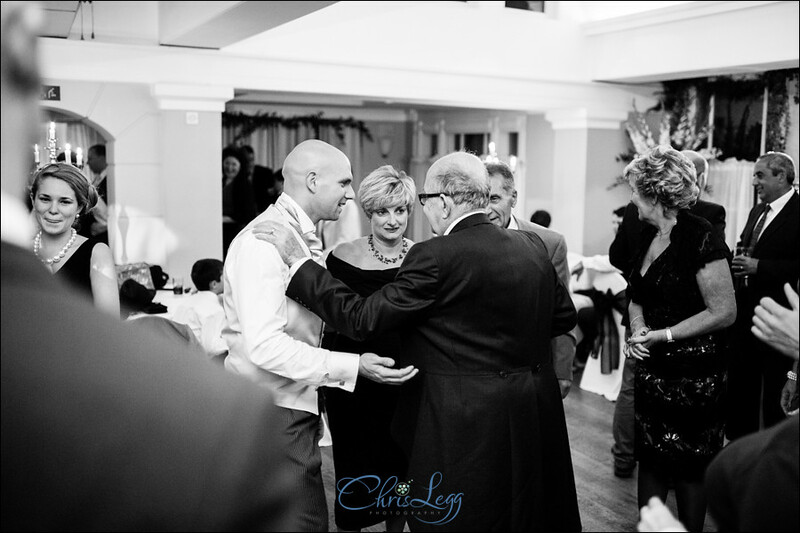 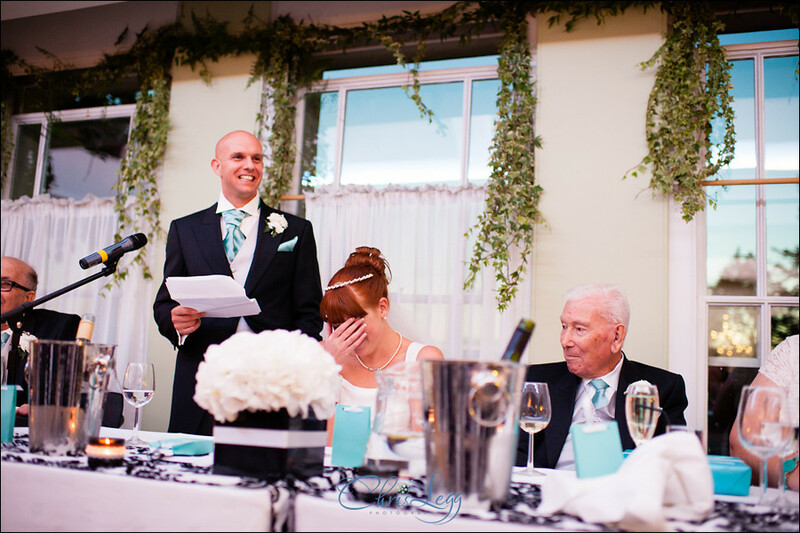 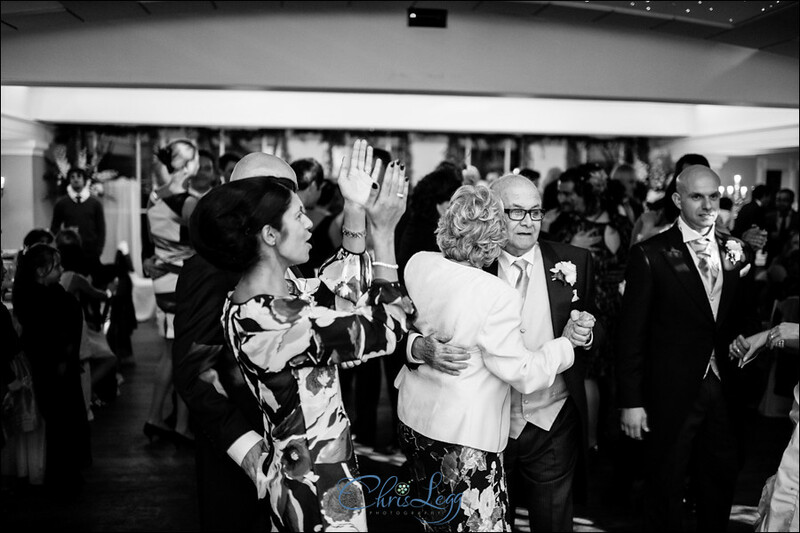 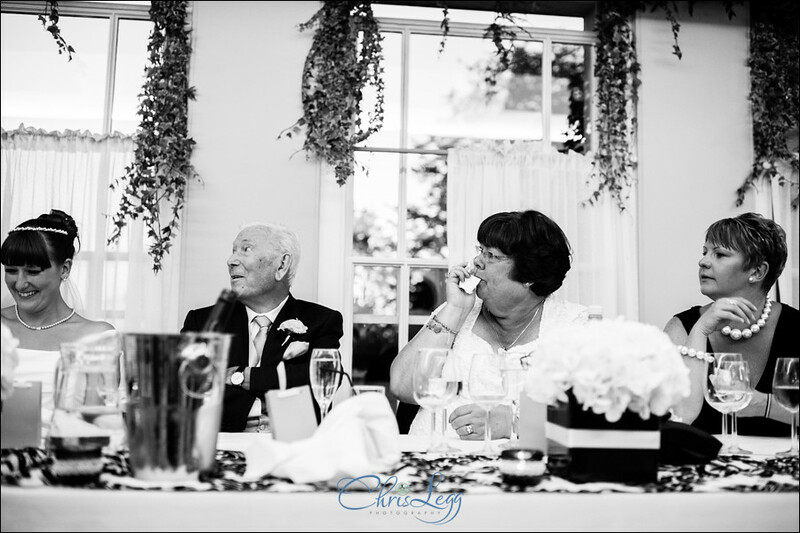 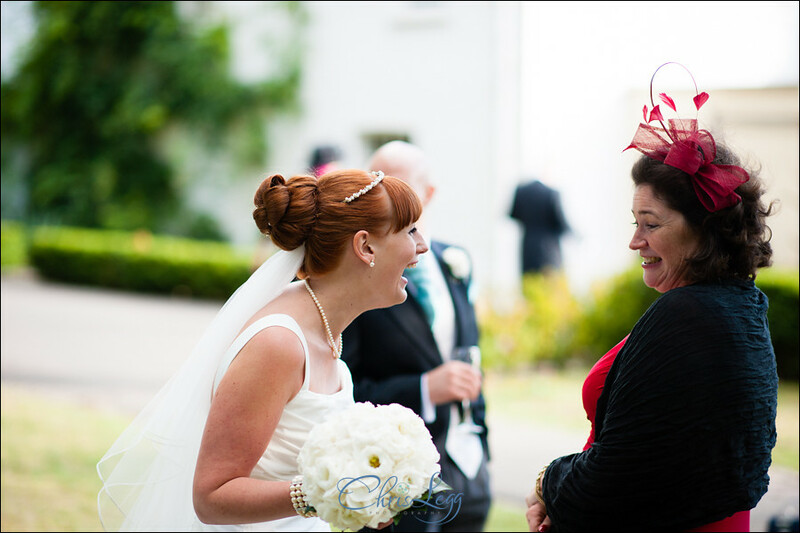 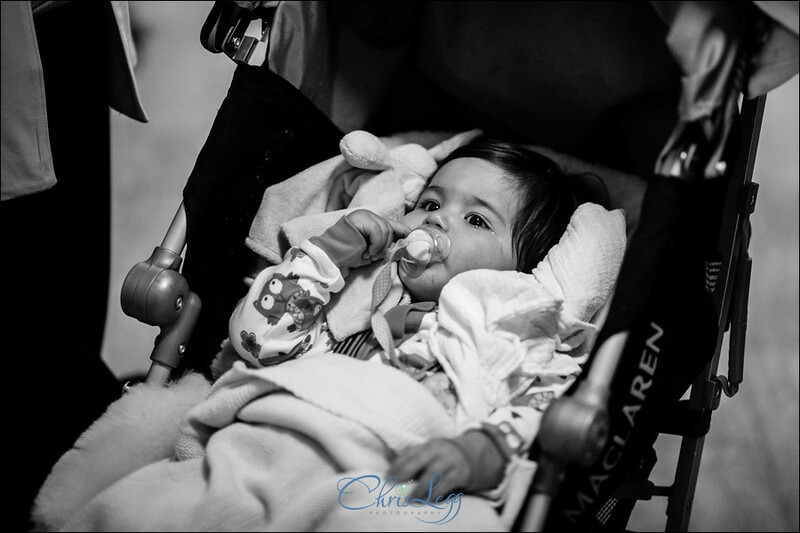 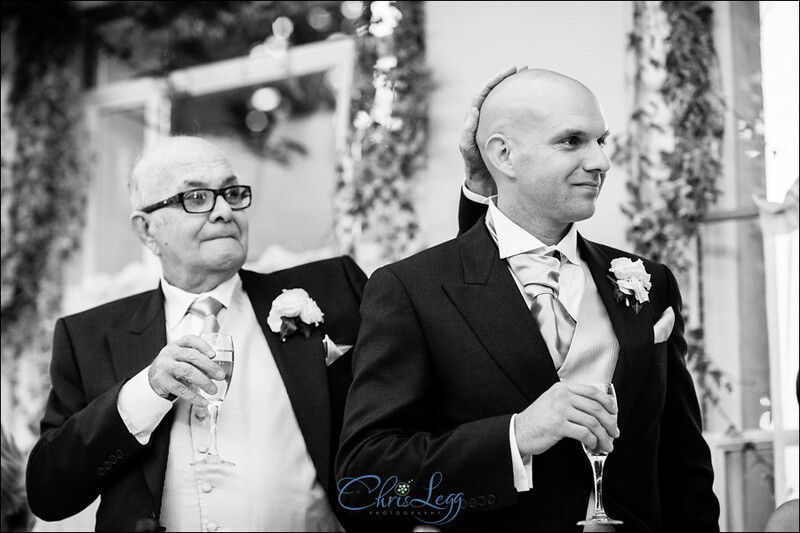 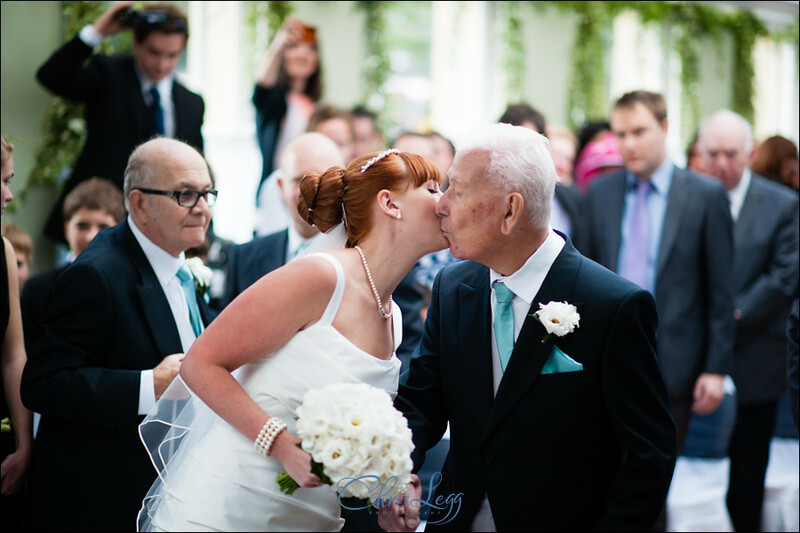 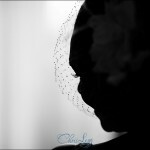 Truly stunning pictures that made me feel like I was there at Dom & Jo’s wedding. 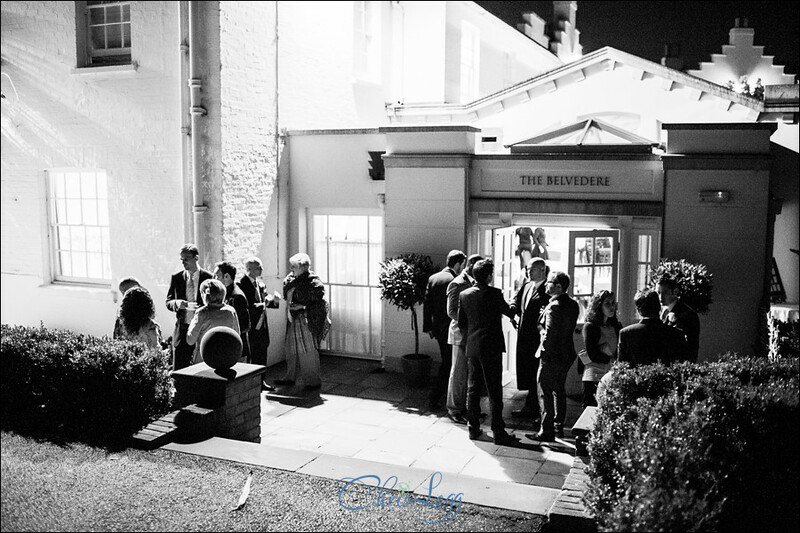 The evening celebrations looked like a proper wedding party. 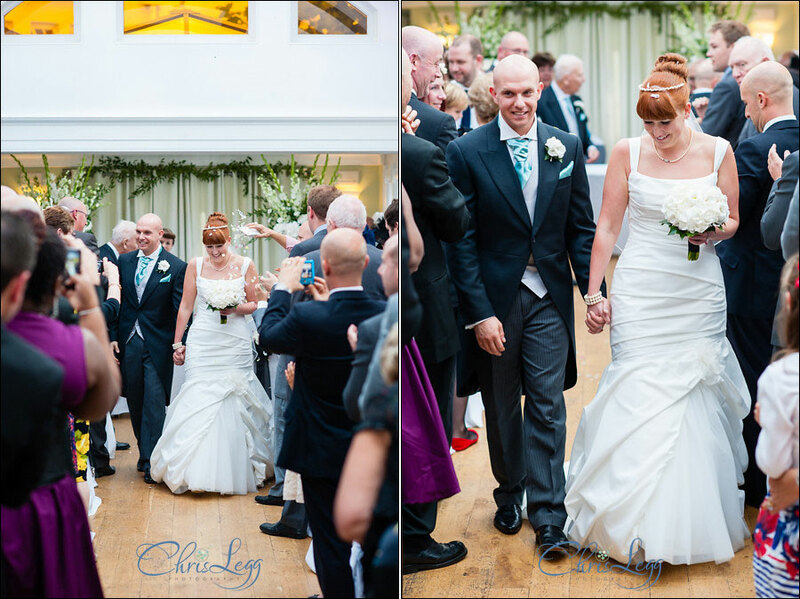 Brilliant work that I can only imagine Jo & Dom are overwhelmed with.